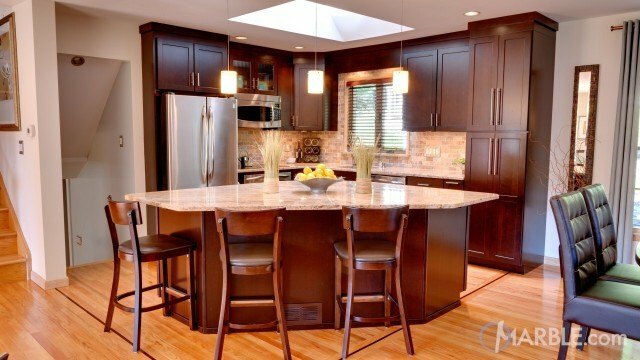 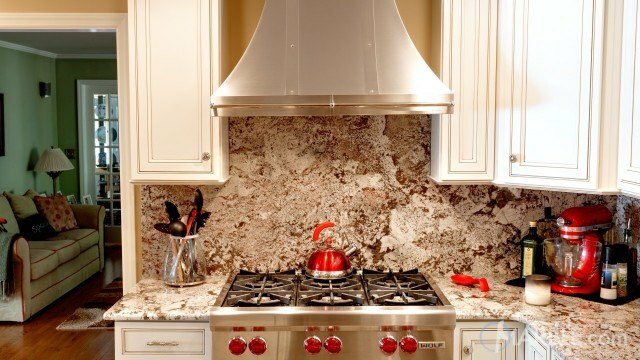 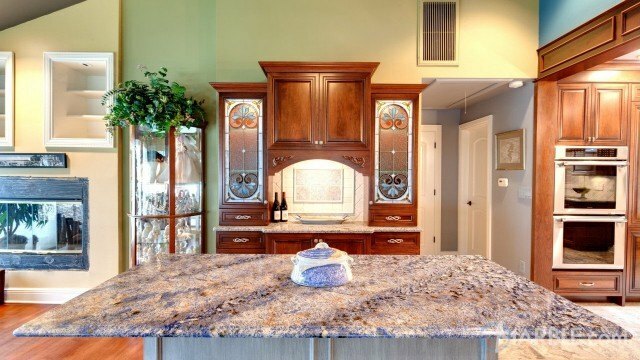 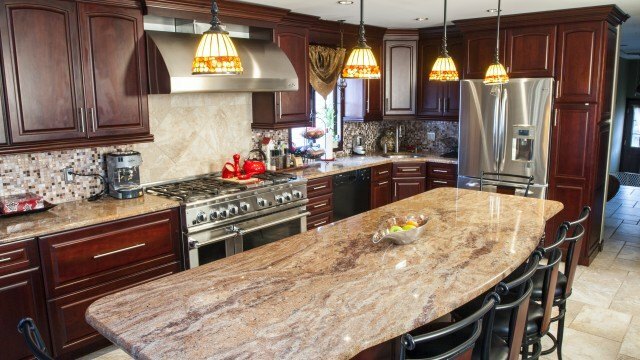 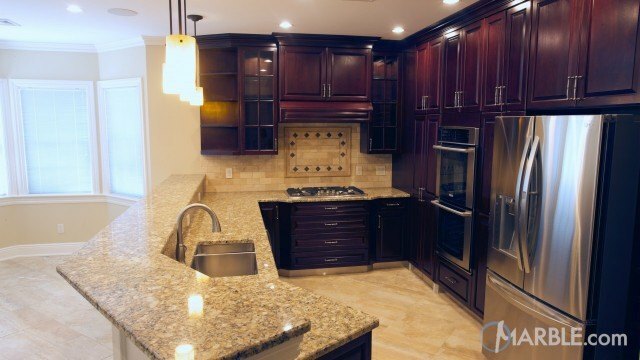 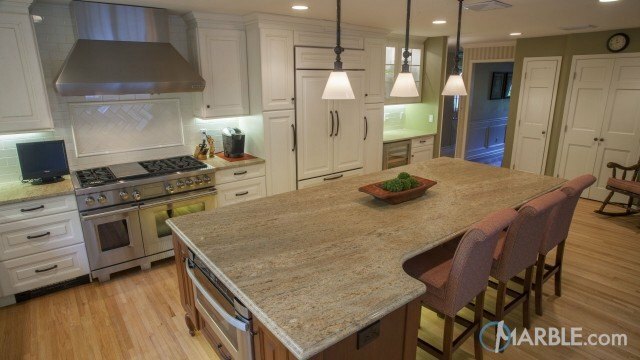 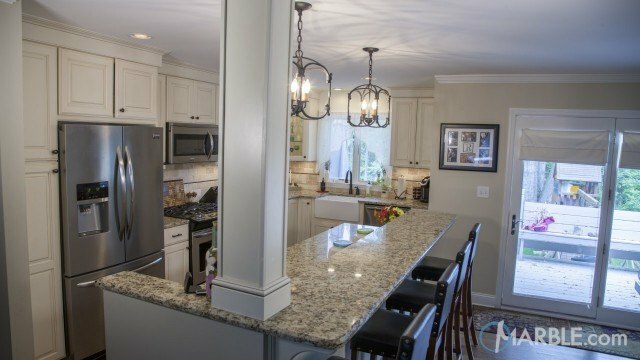 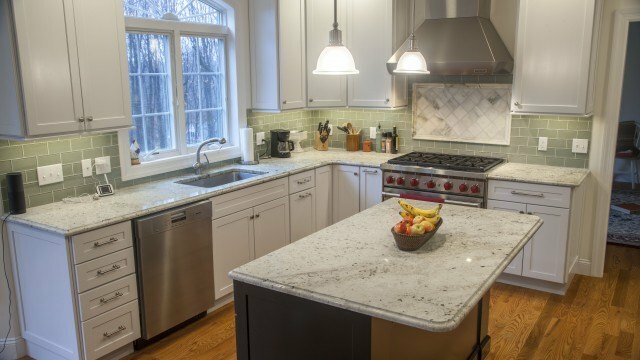 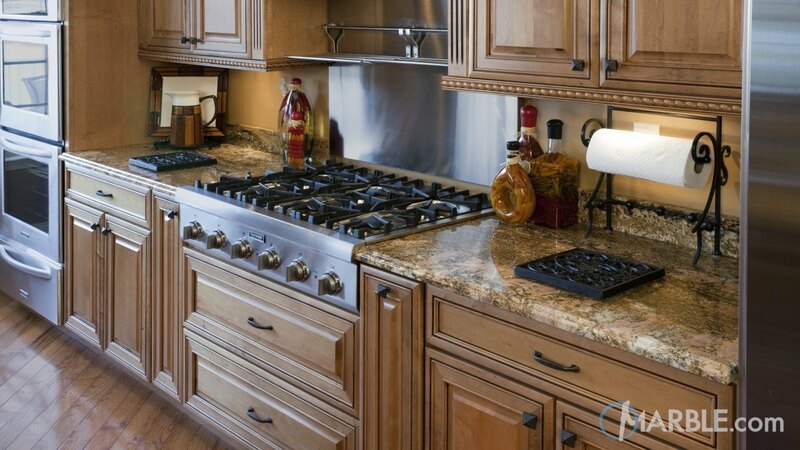 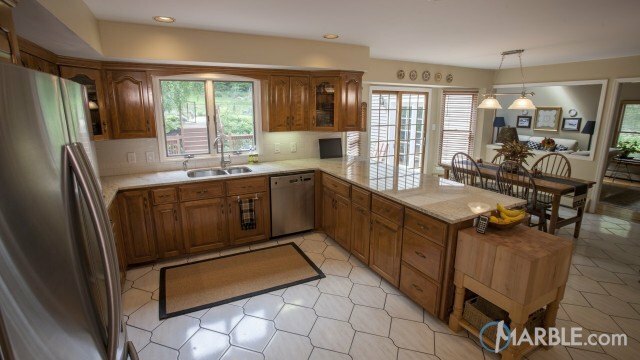 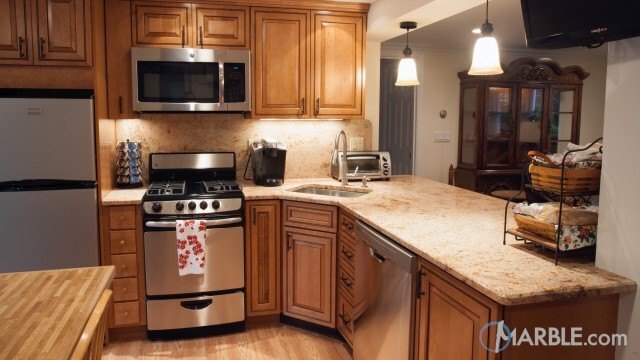 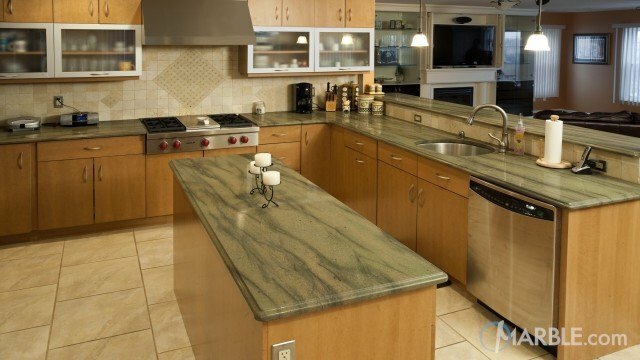 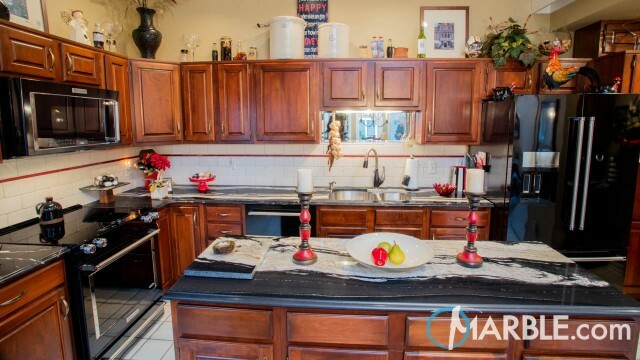 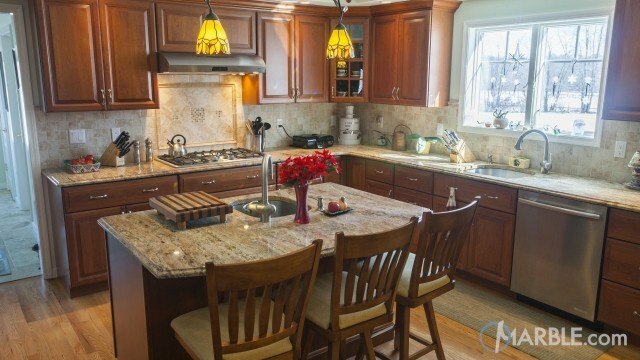 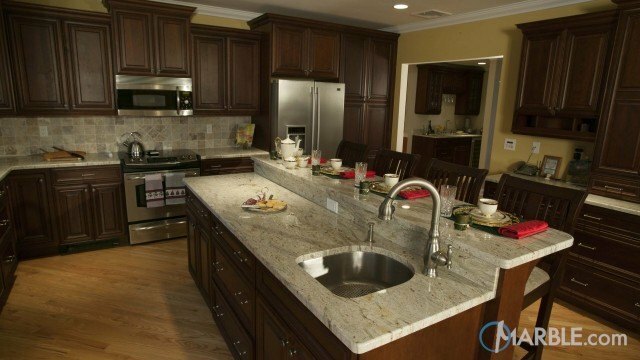 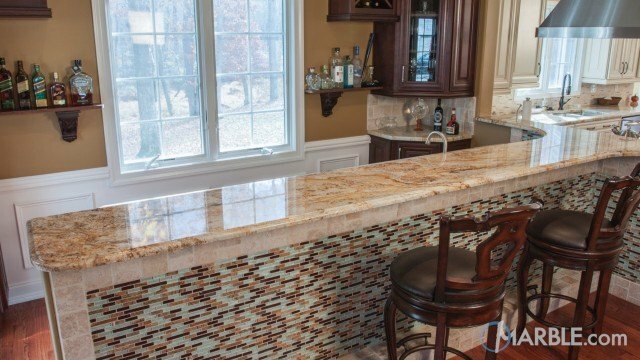 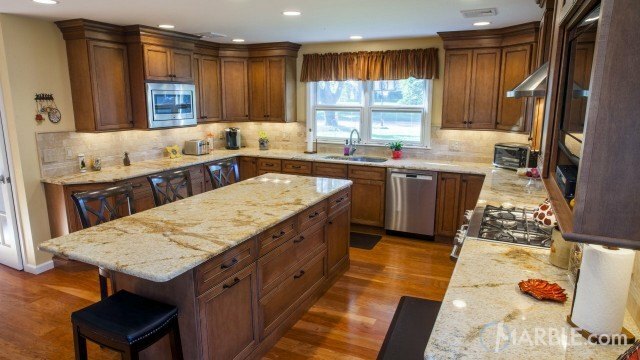 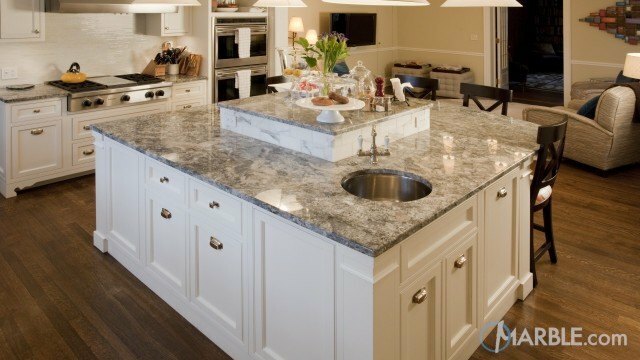 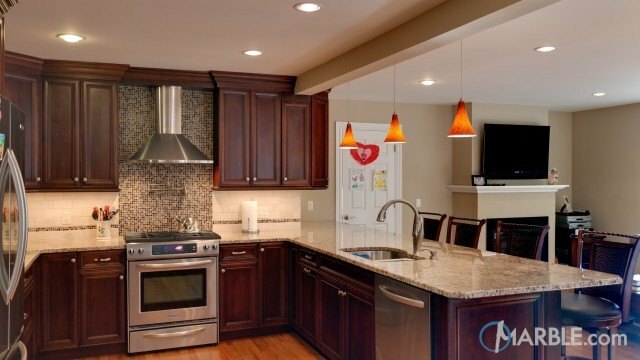 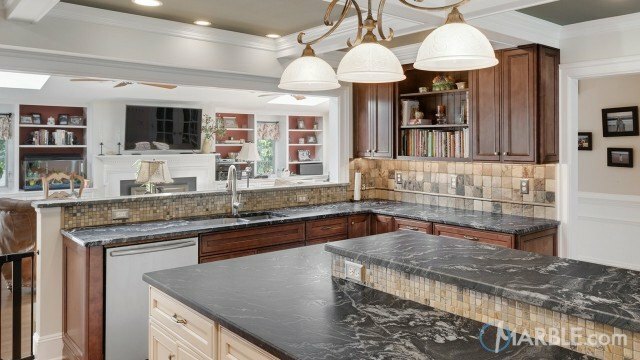 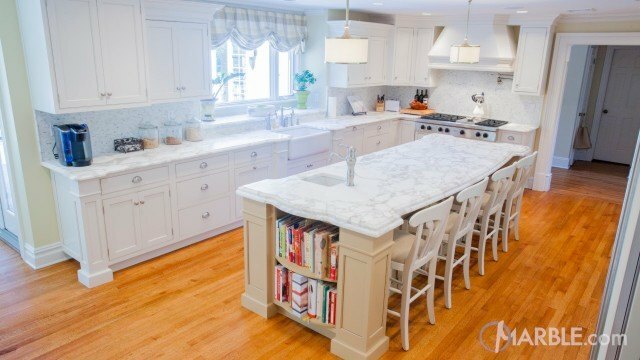 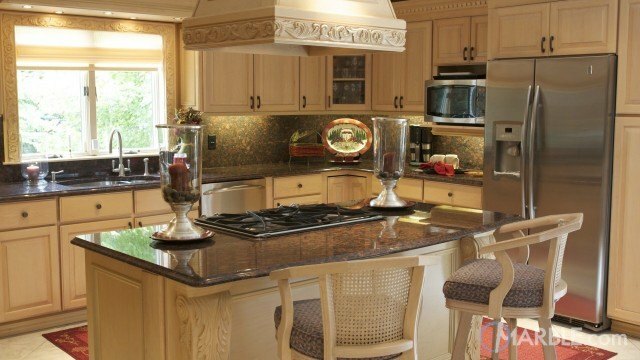 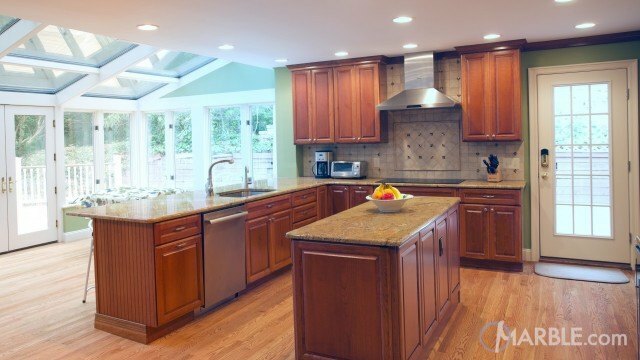 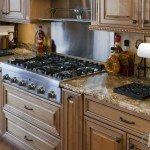 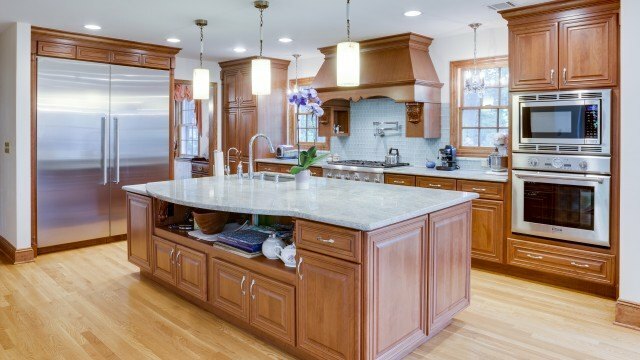 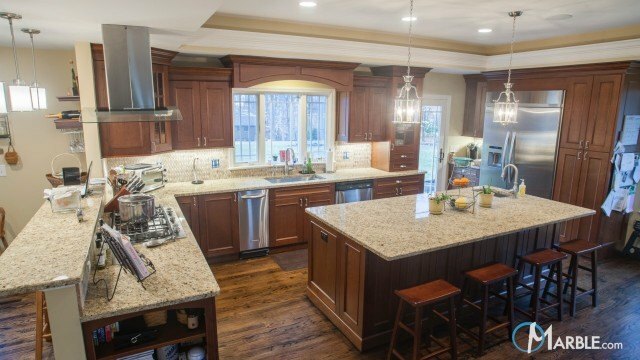 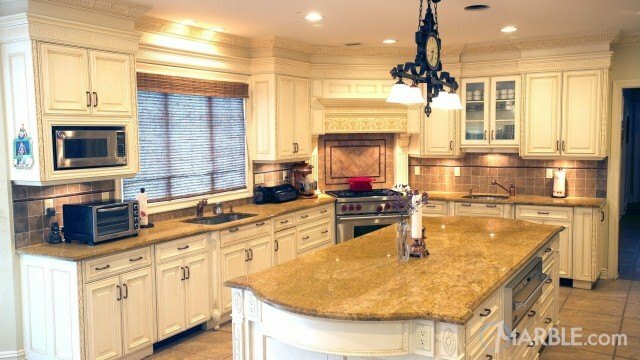 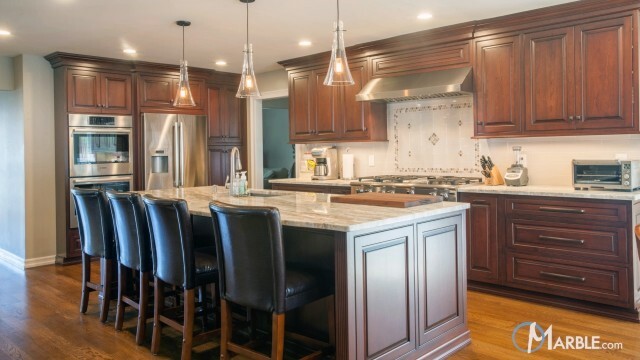 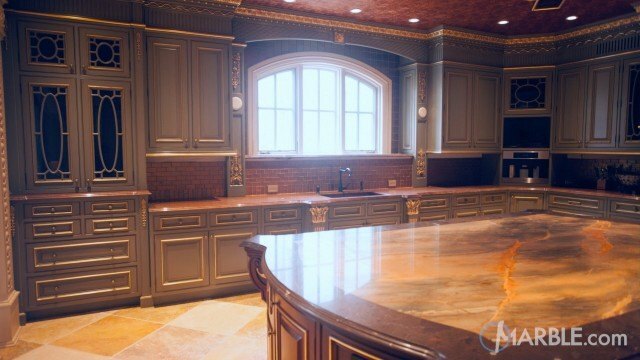 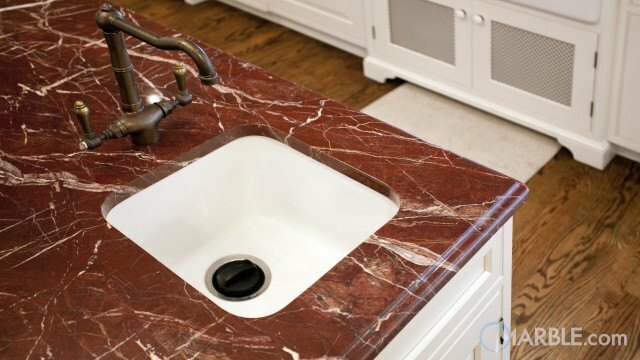 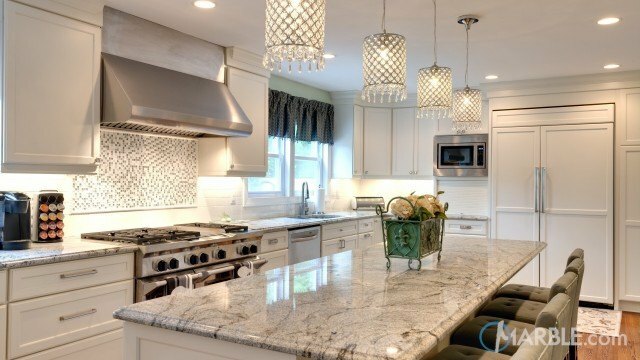 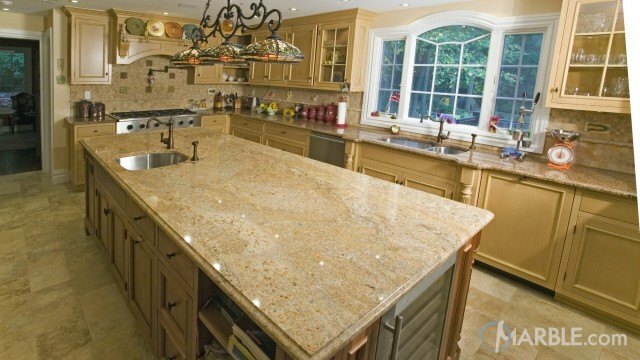 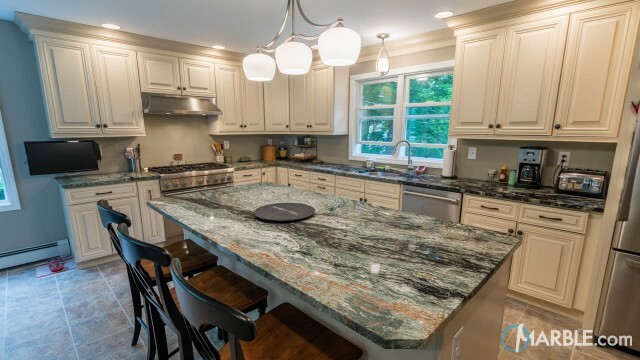 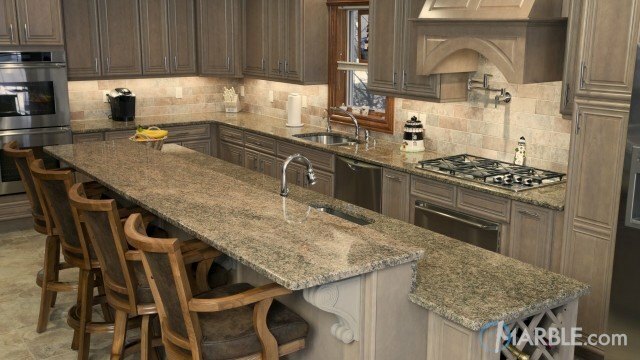 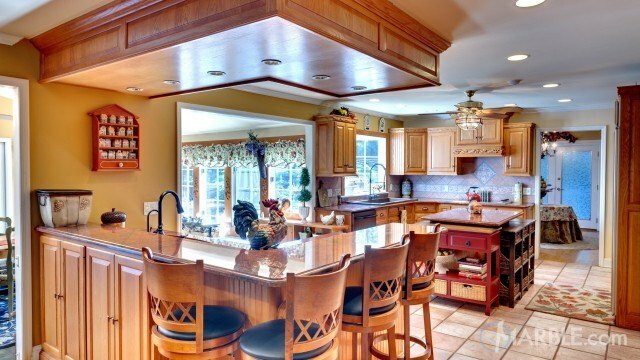 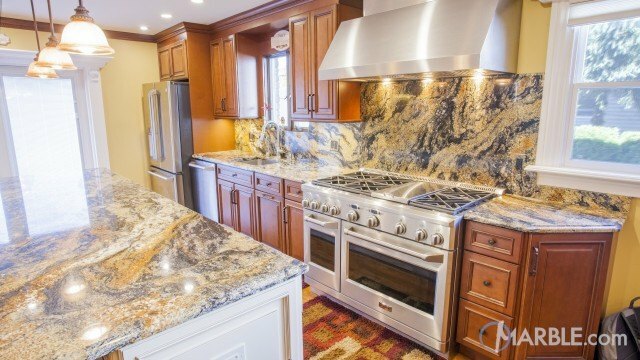 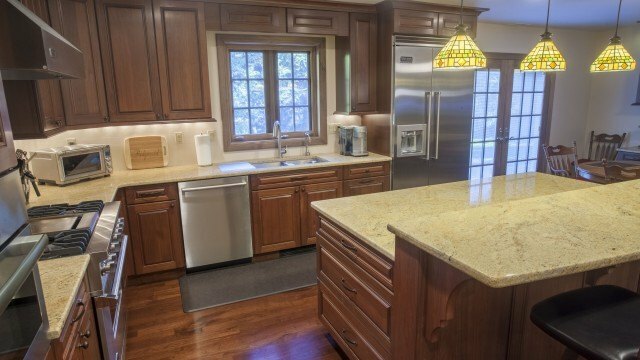 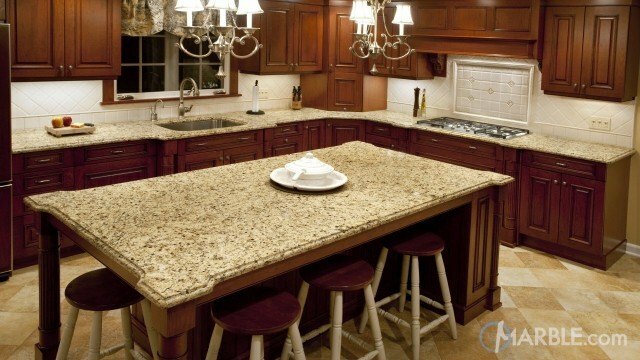 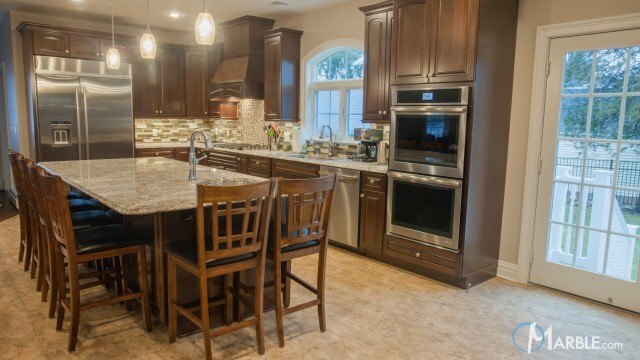 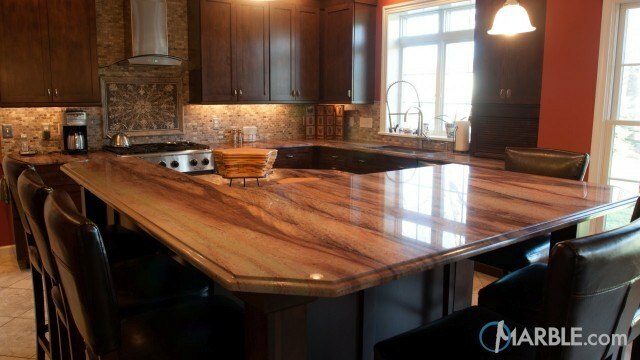 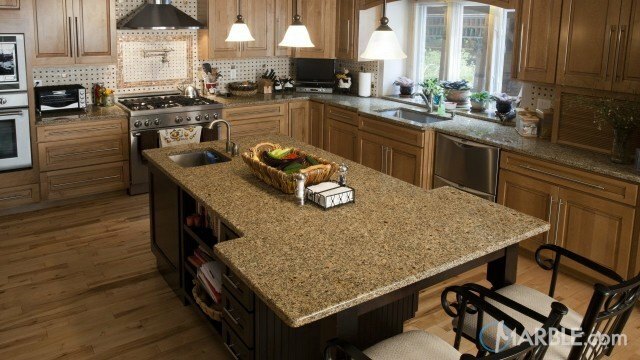 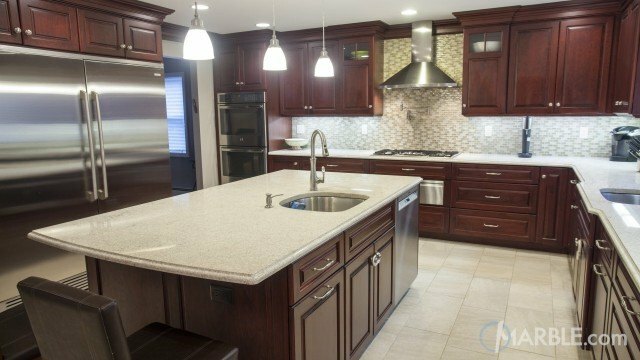 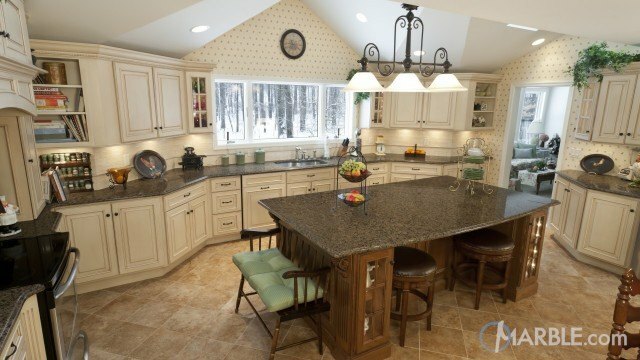 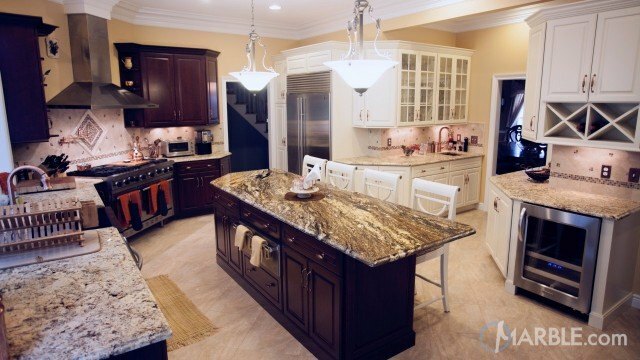 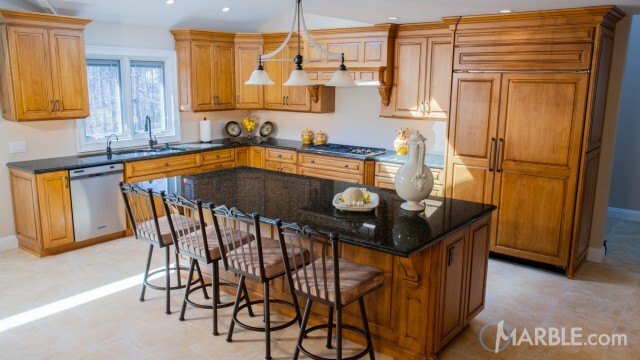 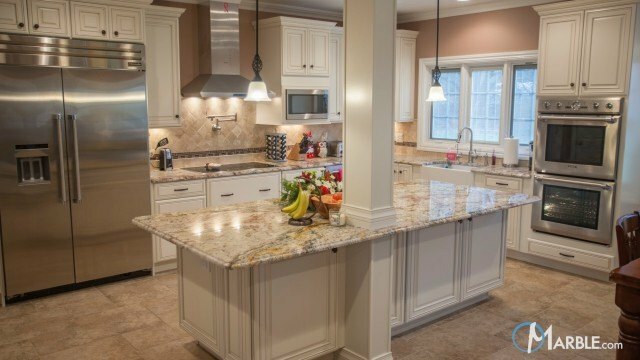 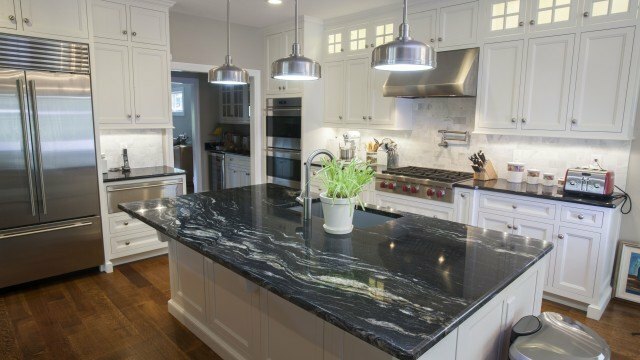 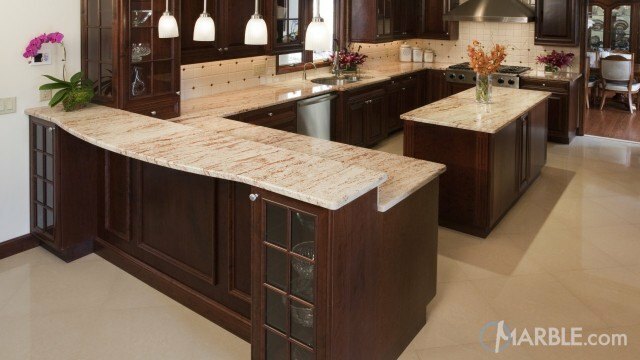 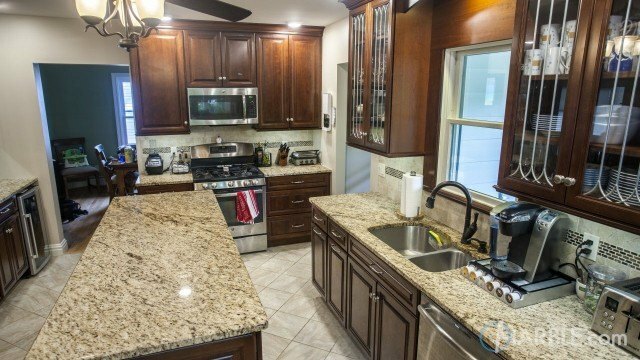 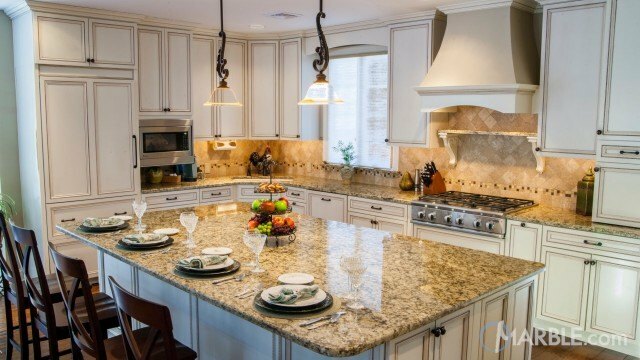 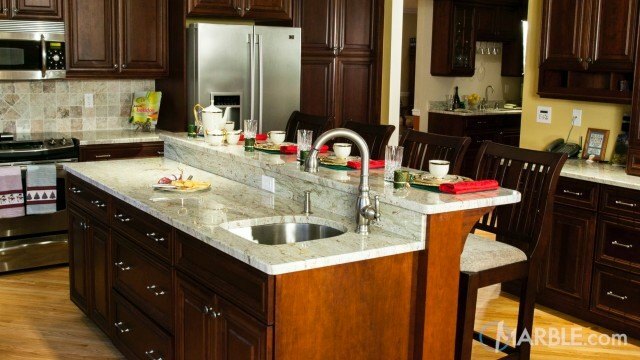 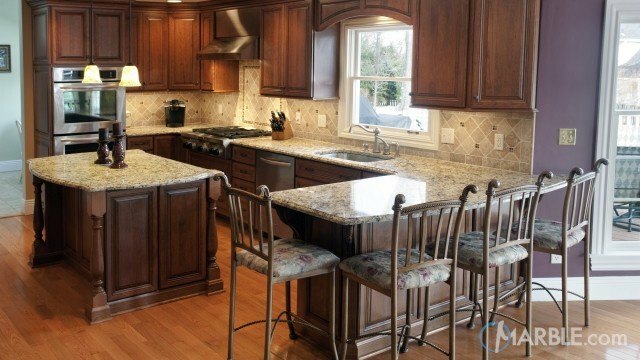 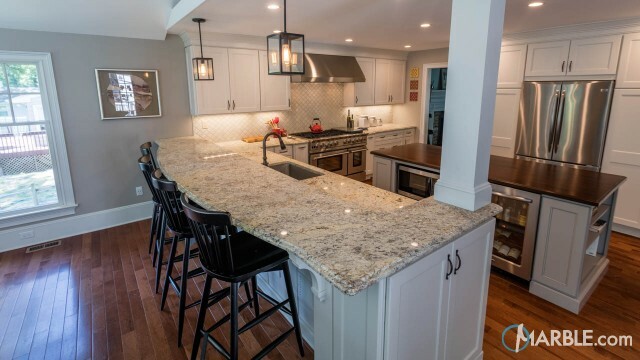 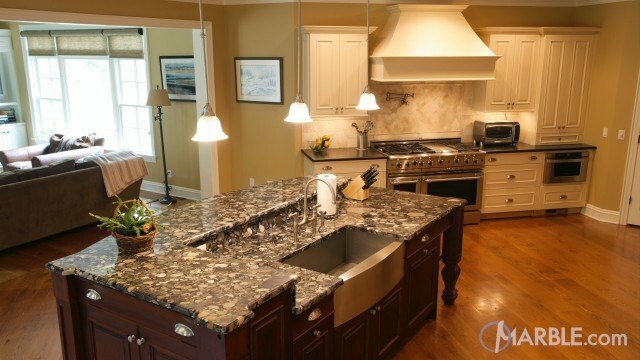 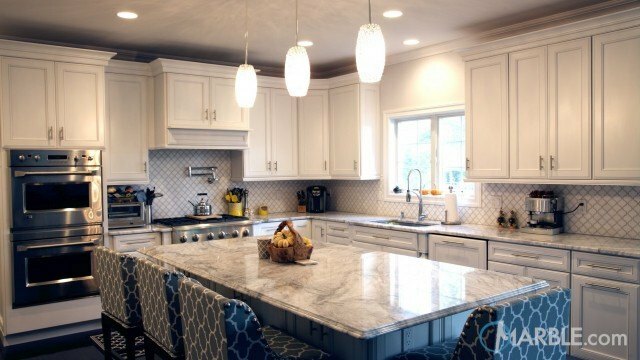 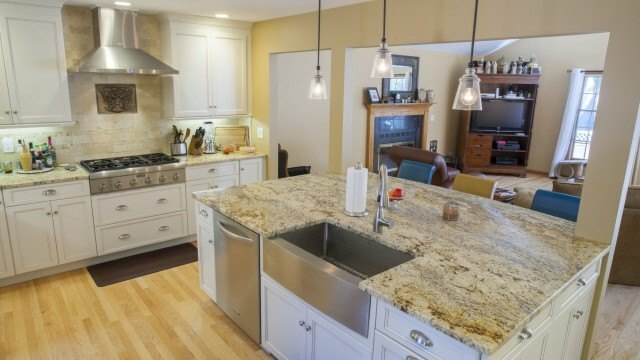 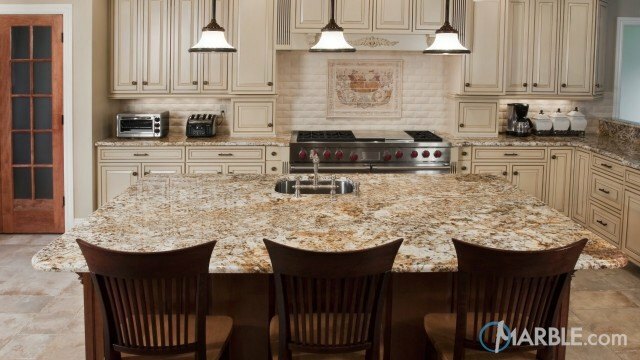 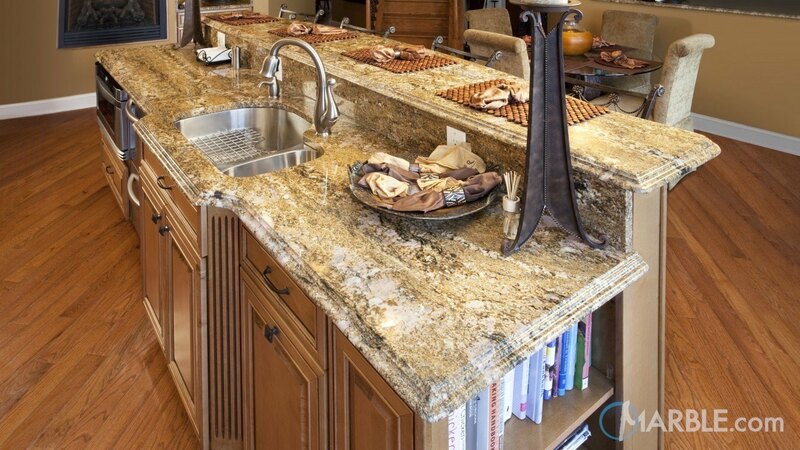 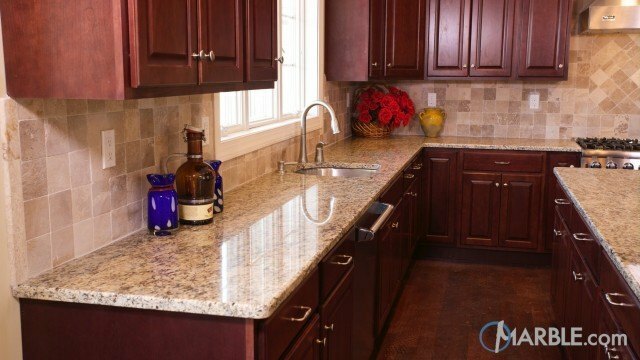 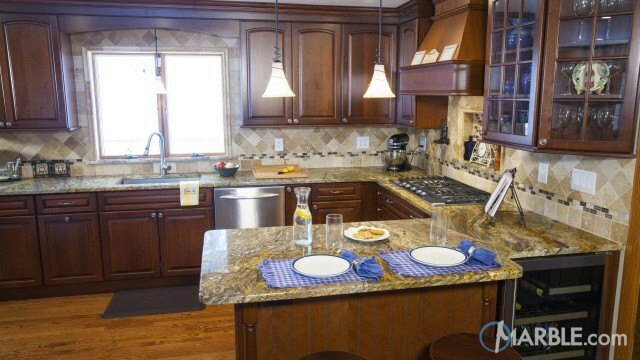 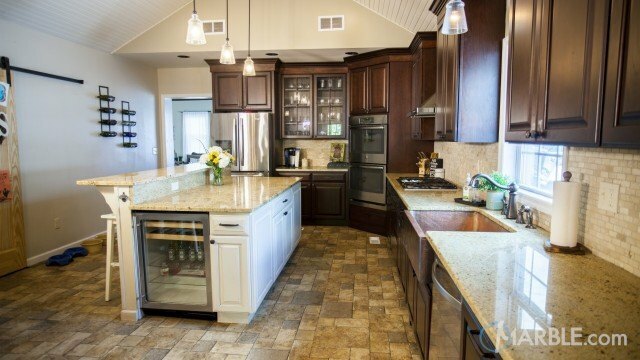 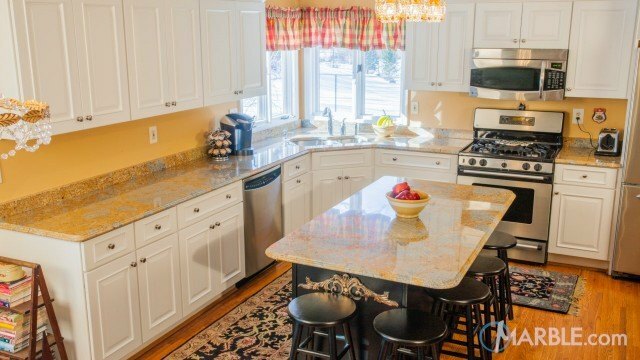 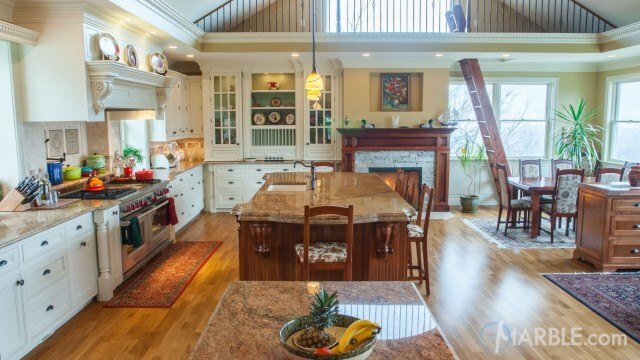 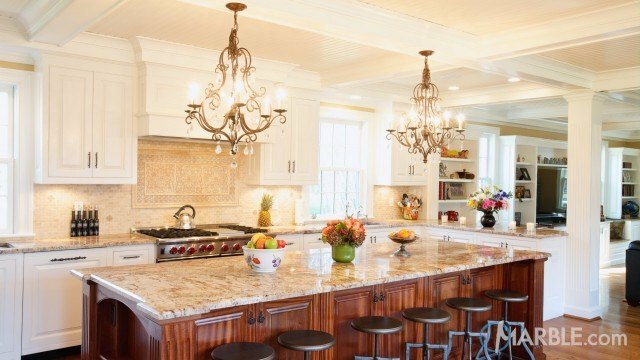 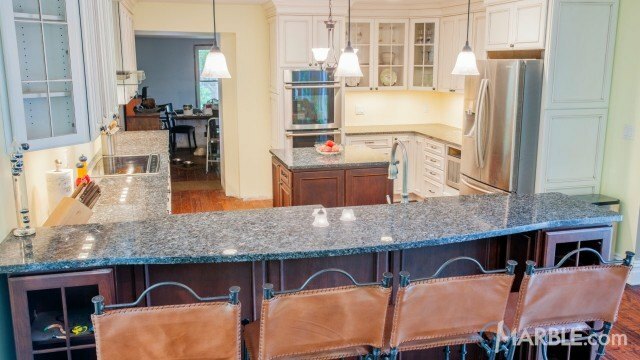 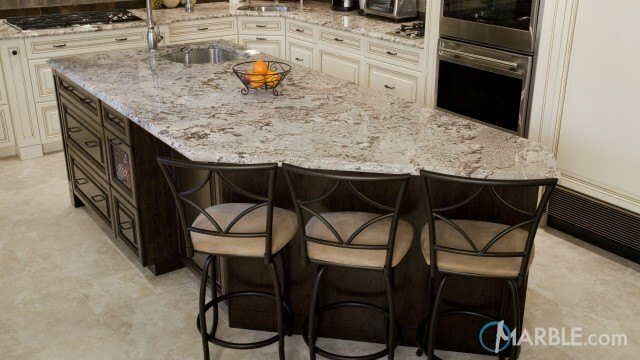 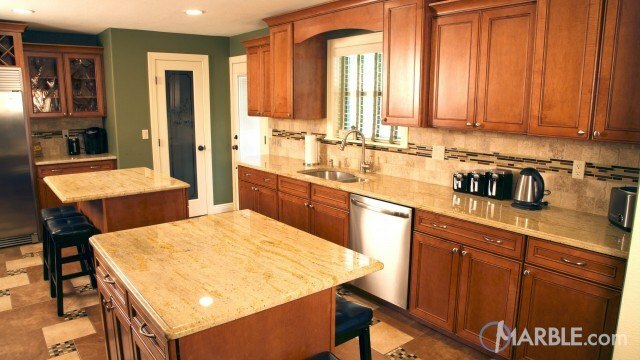 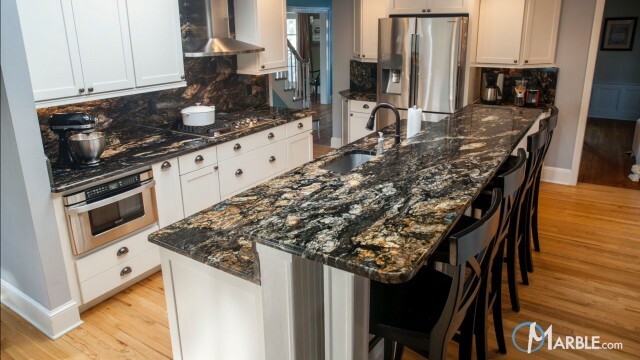 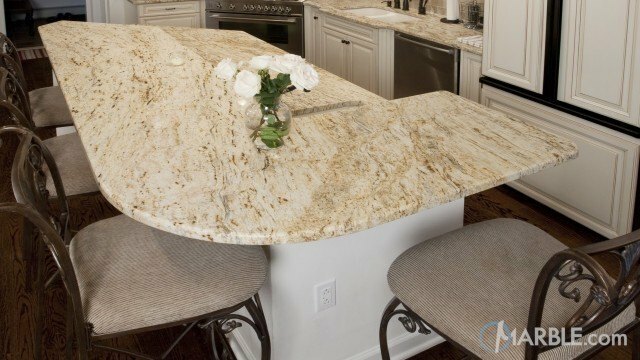 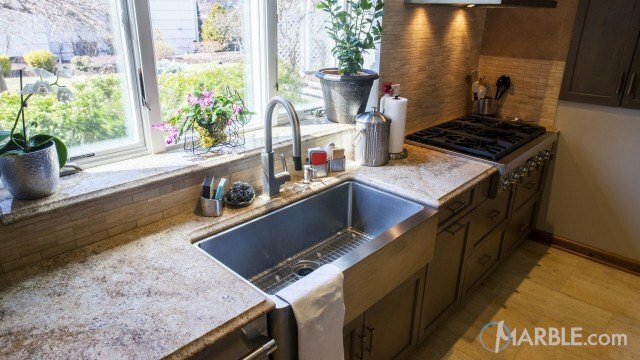 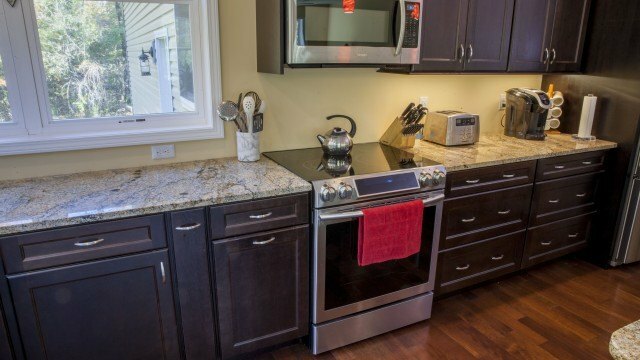 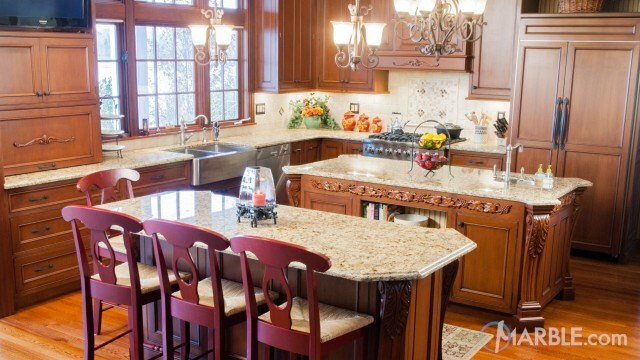 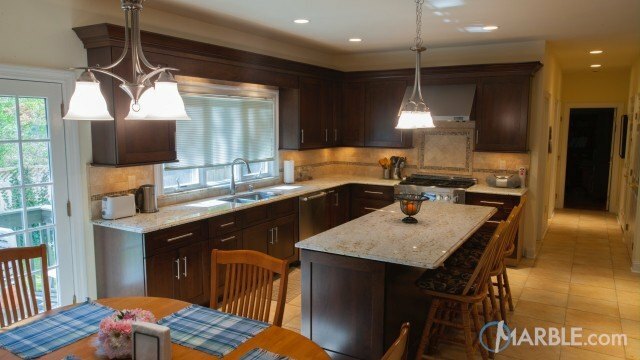 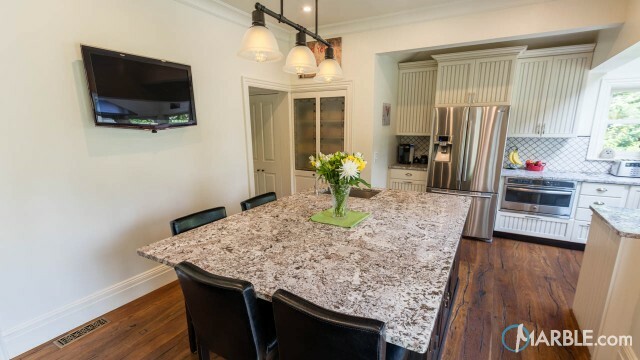 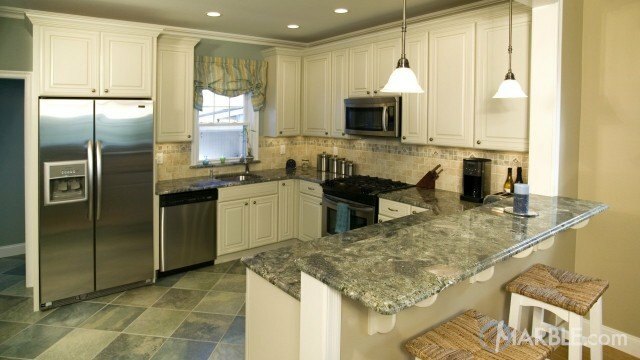 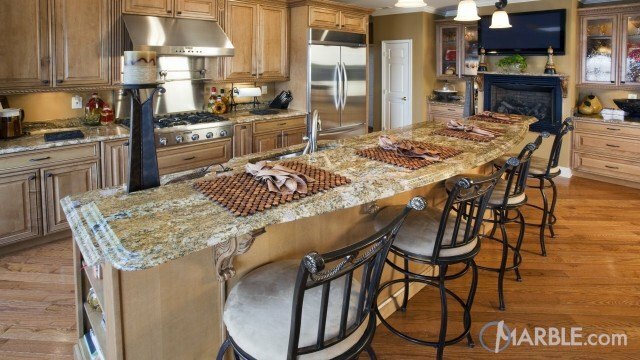 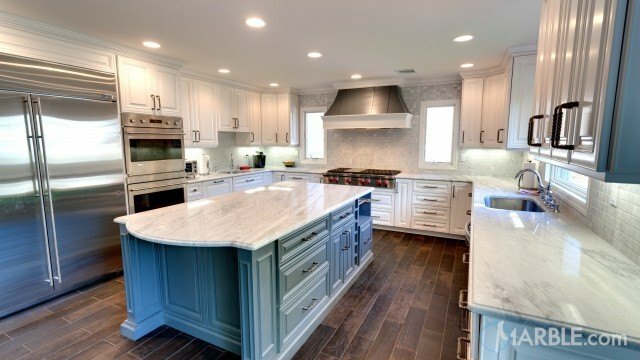 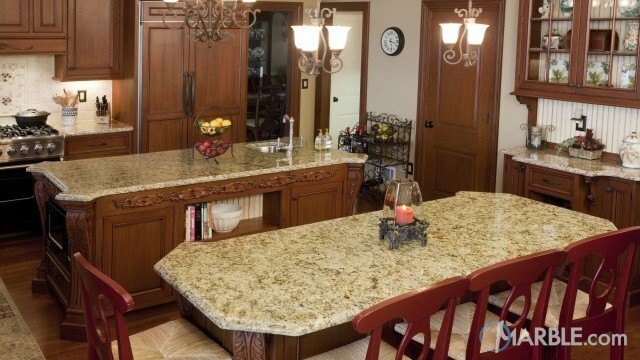 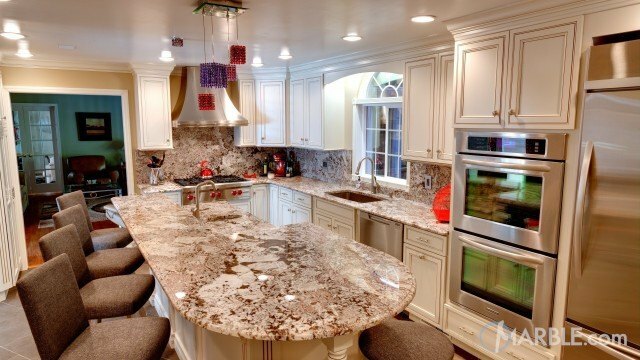 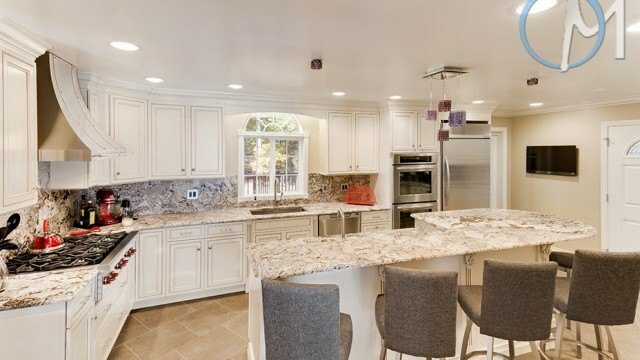 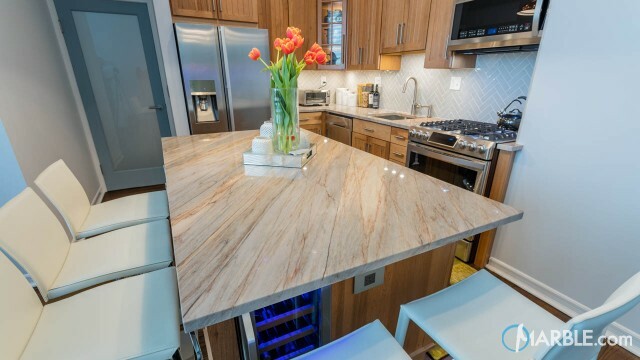 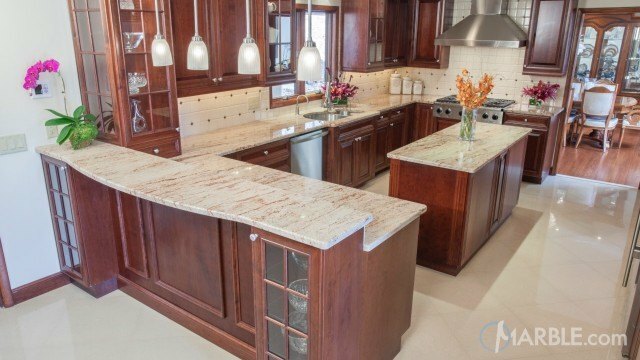 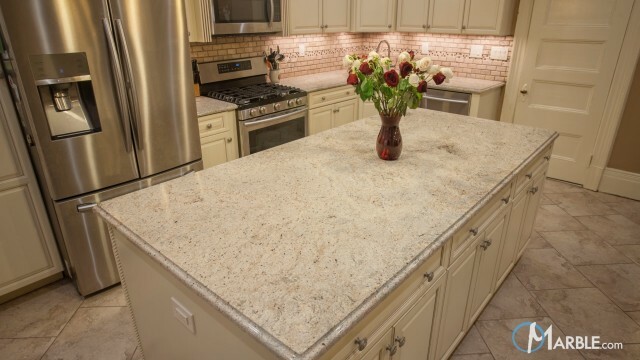 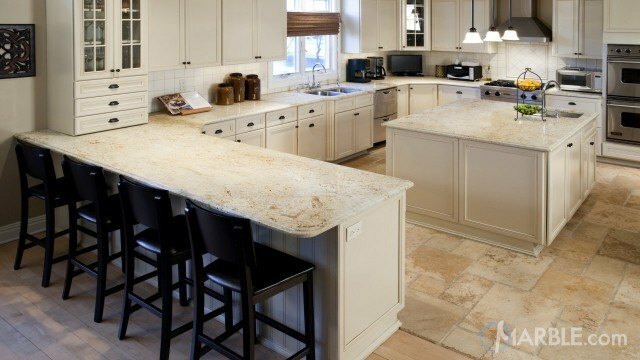 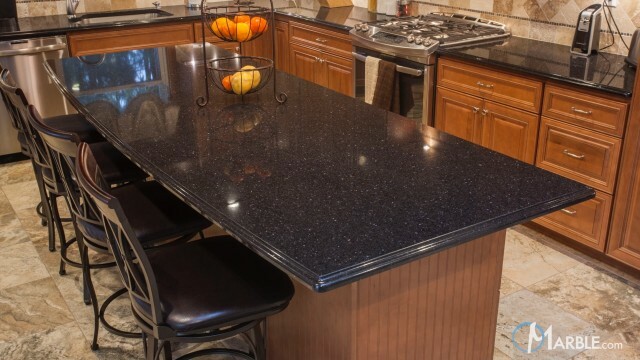 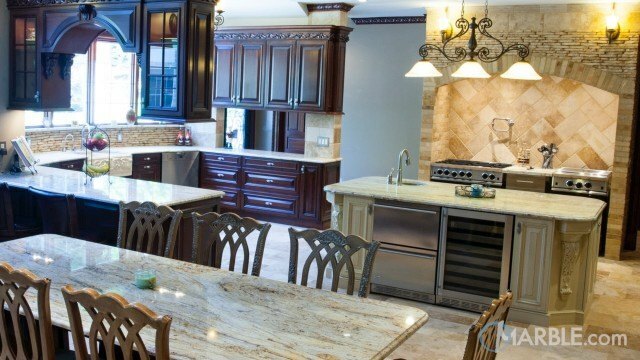 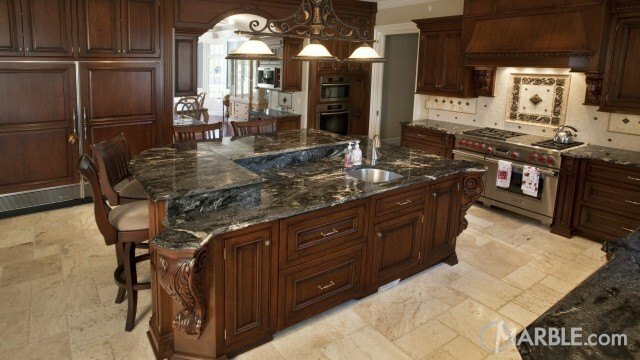 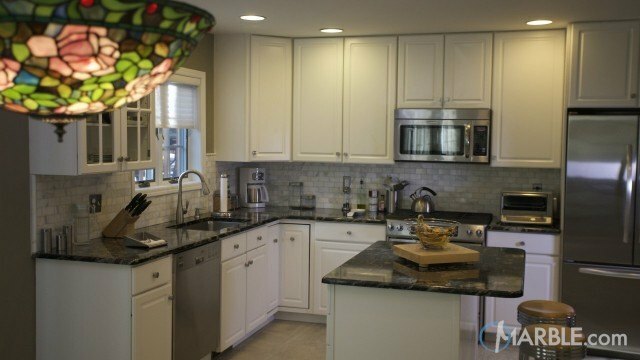 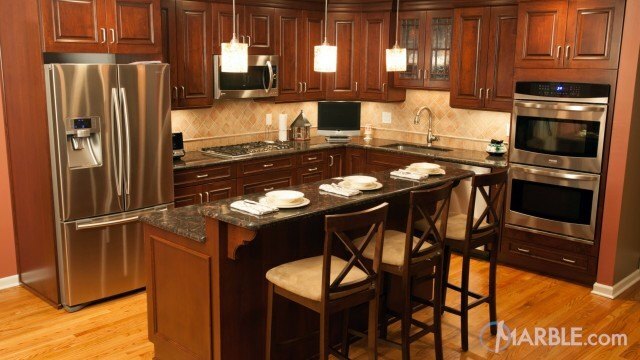 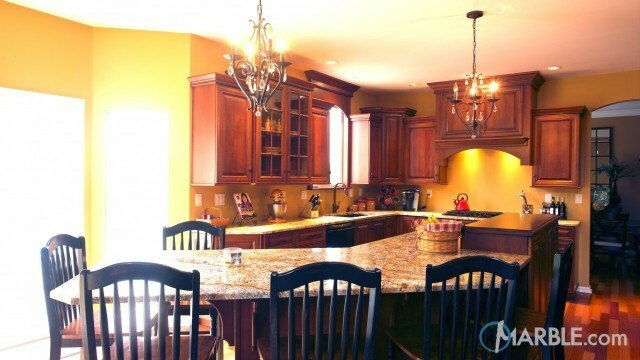 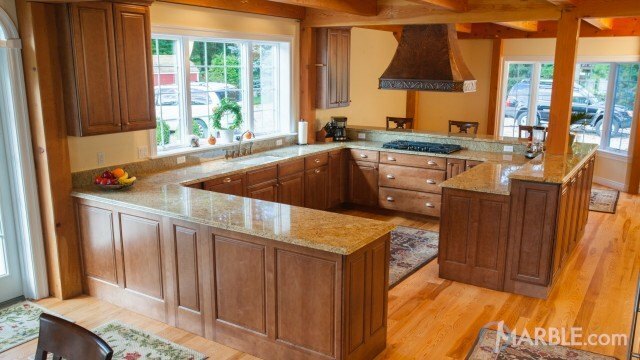 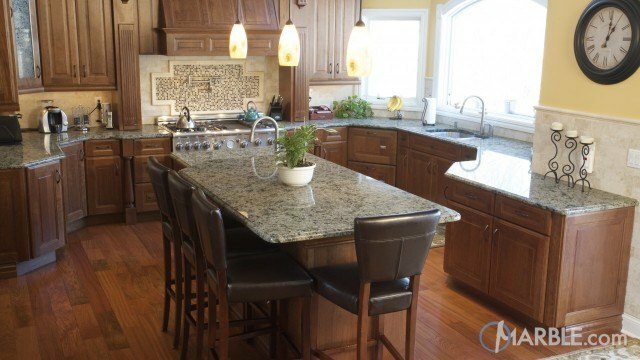 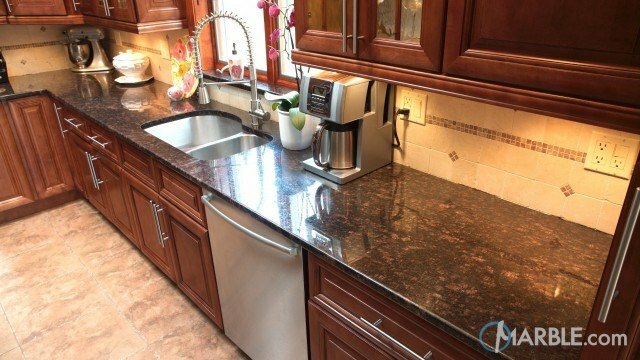 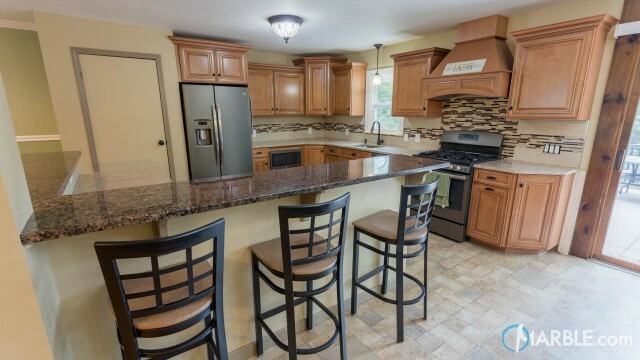 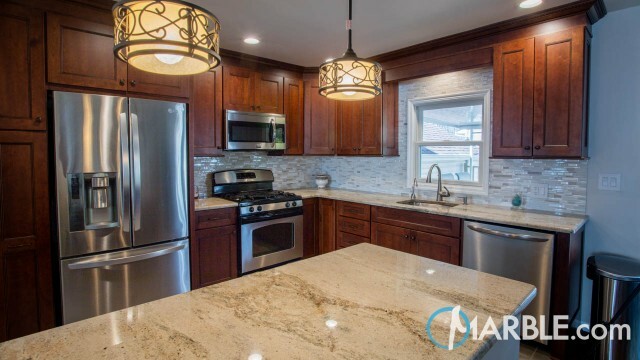 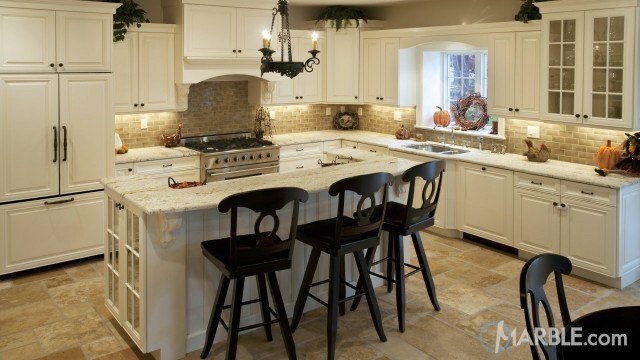 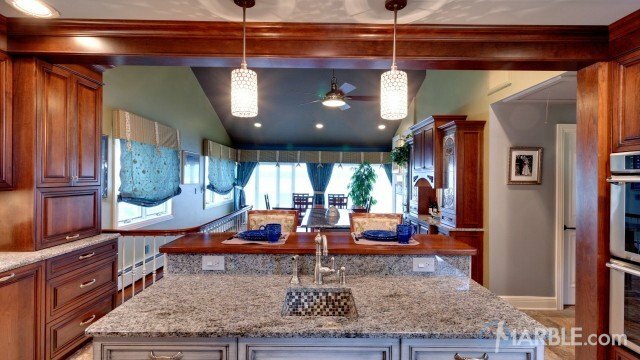 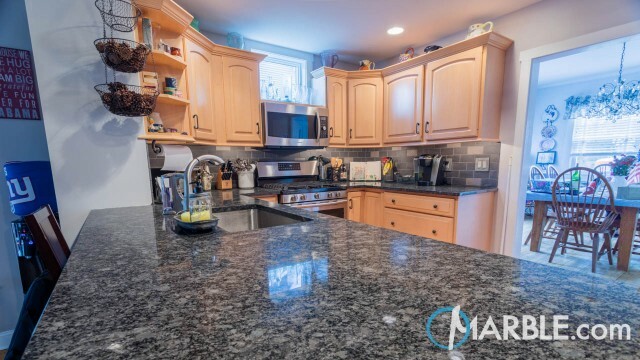 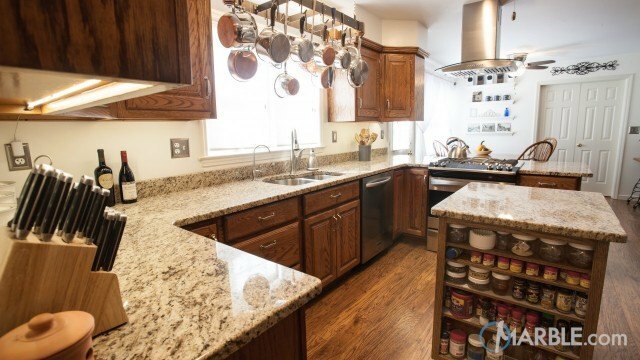 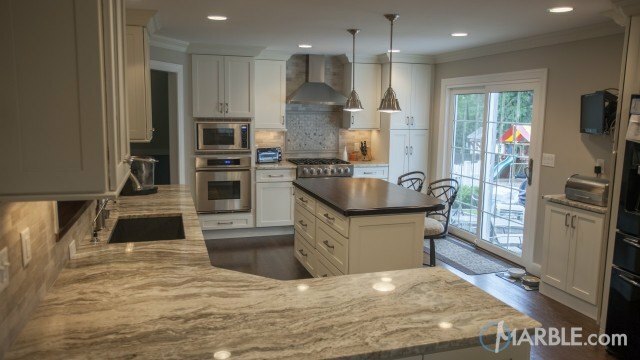 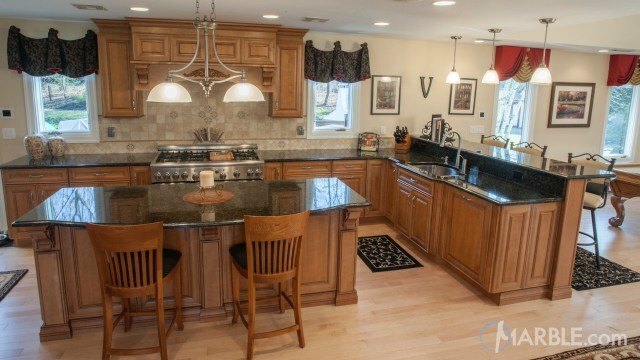 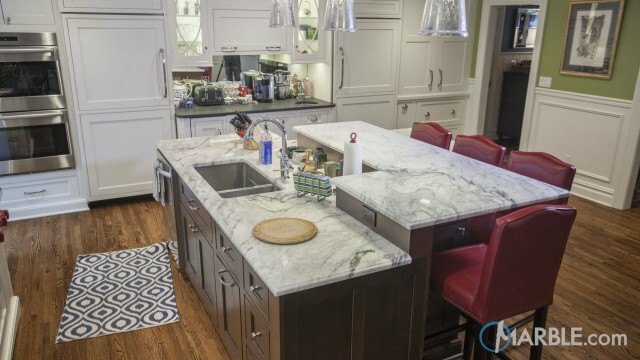 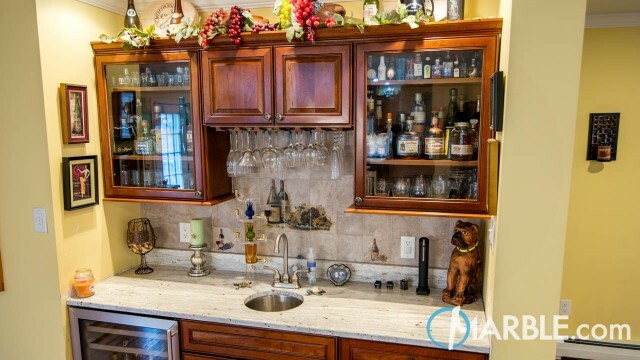 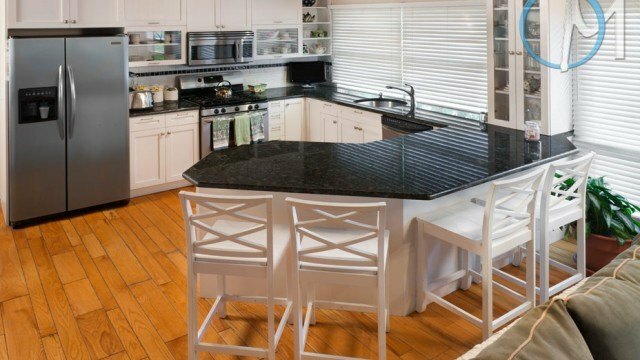 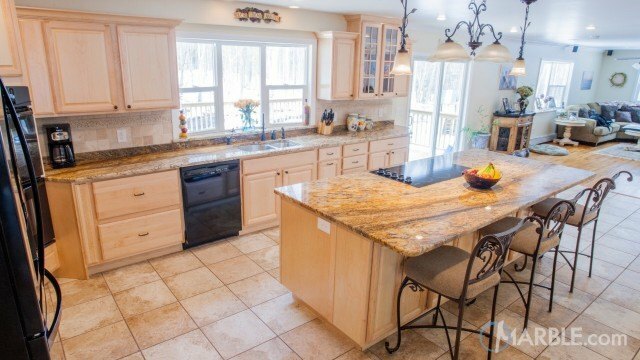 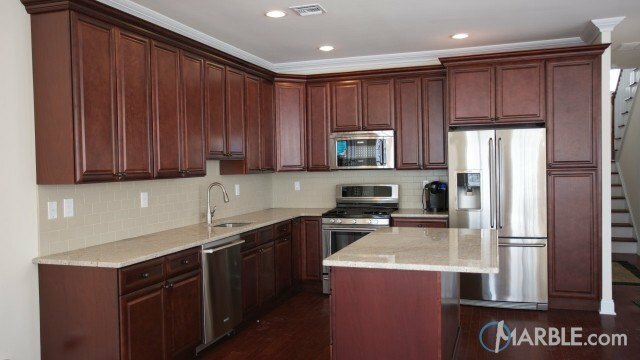 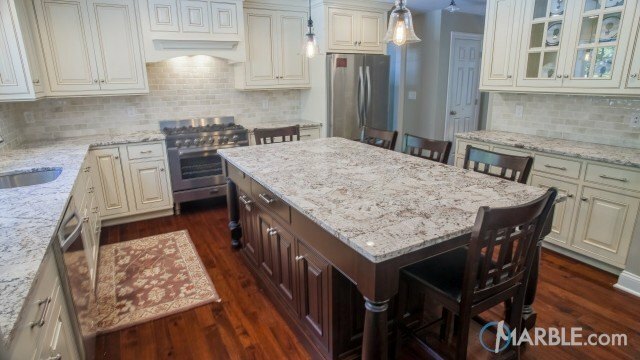 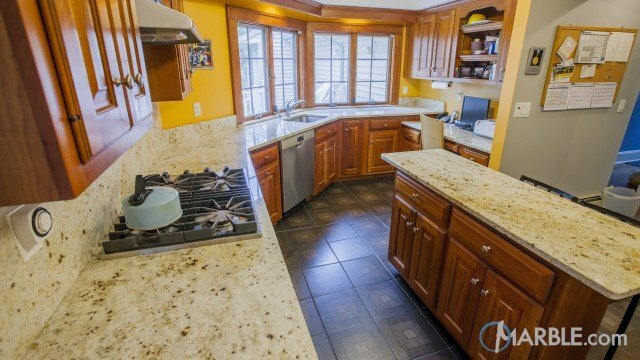 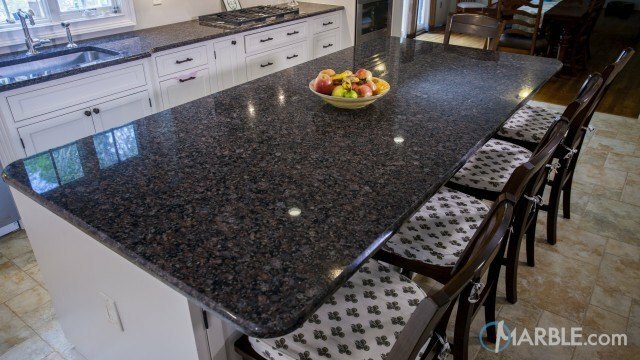 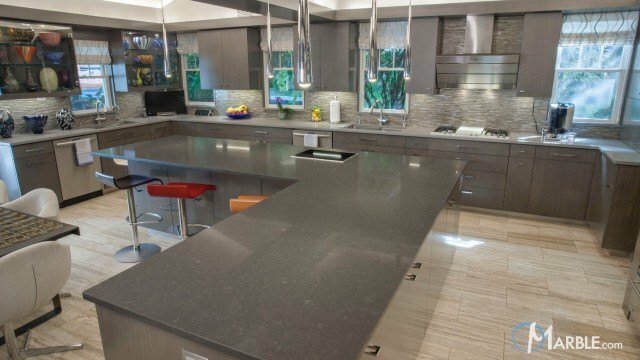 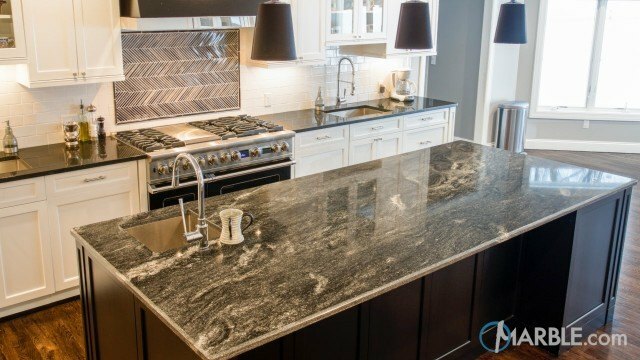 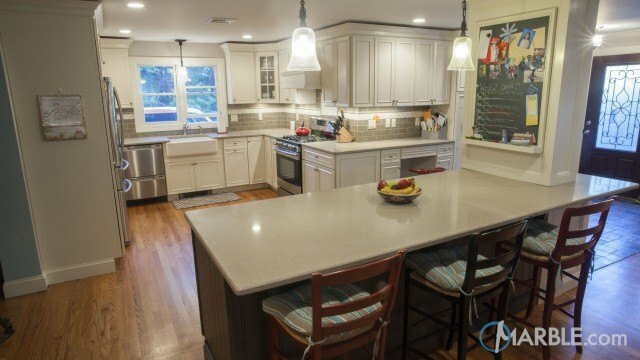 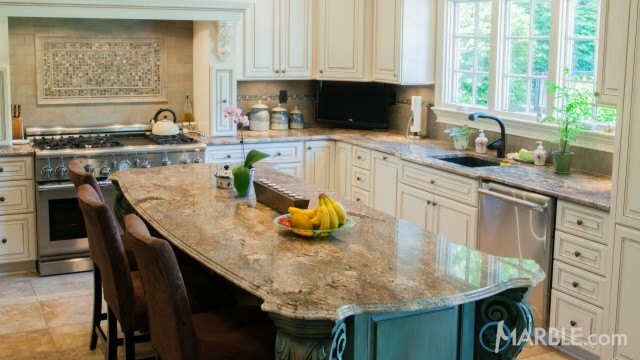 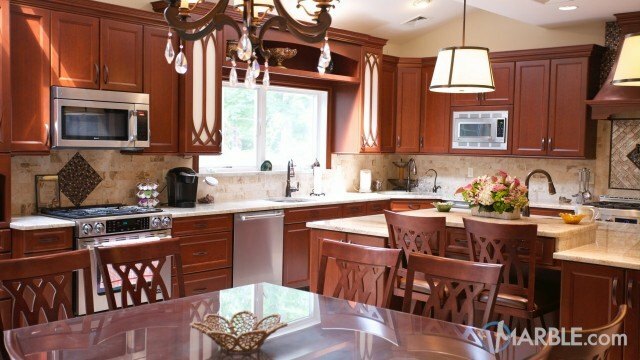 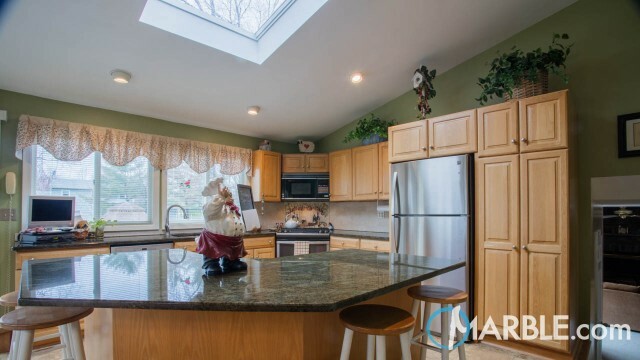 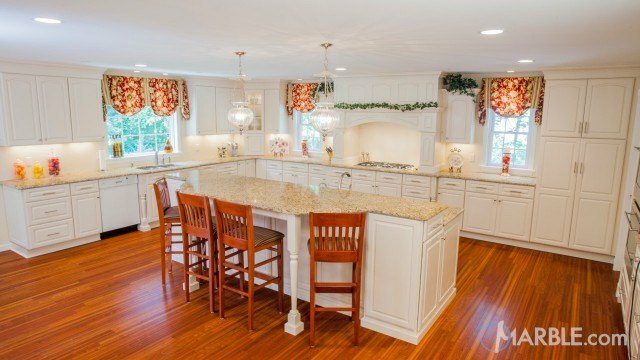 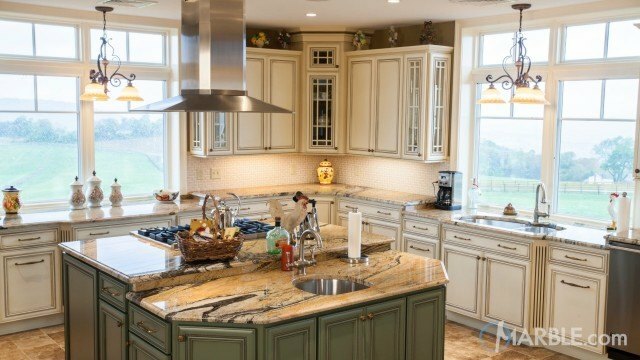 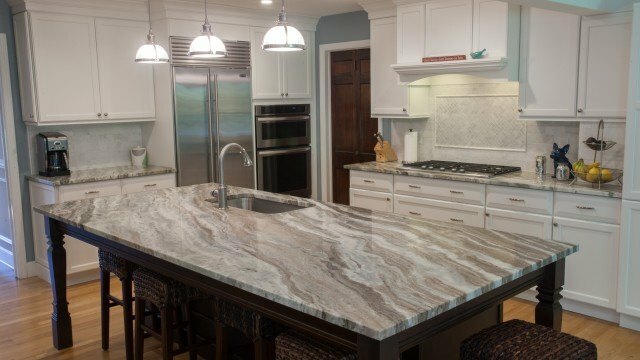 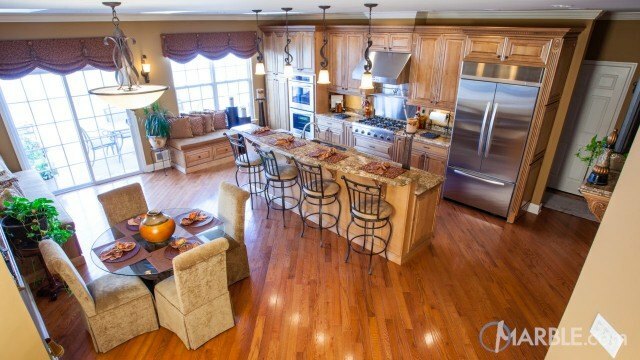 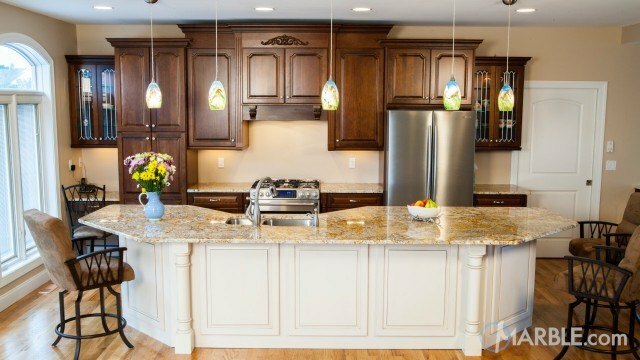 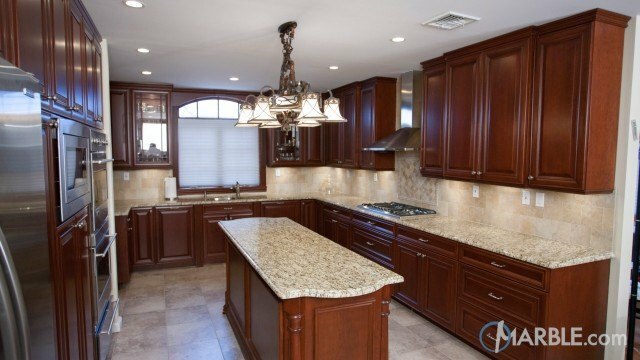 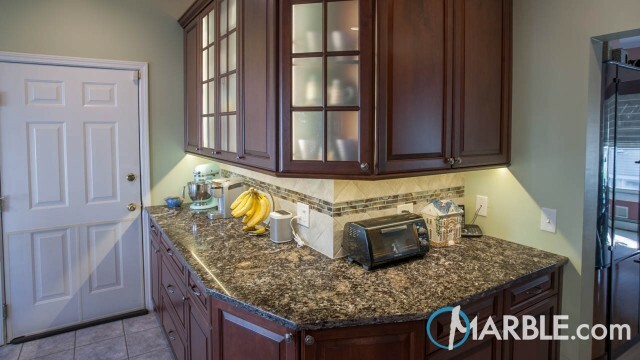 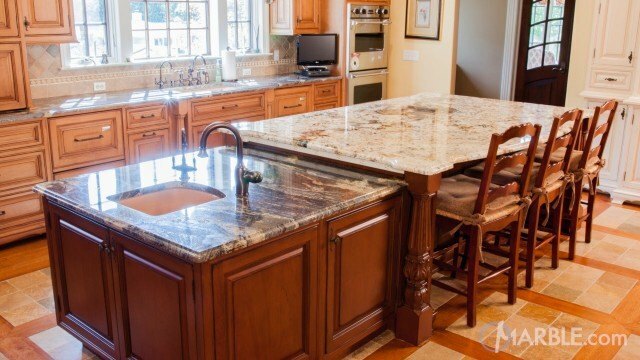 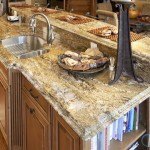 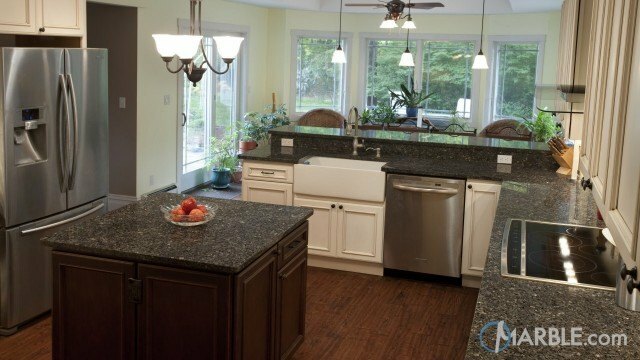 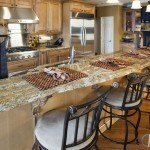 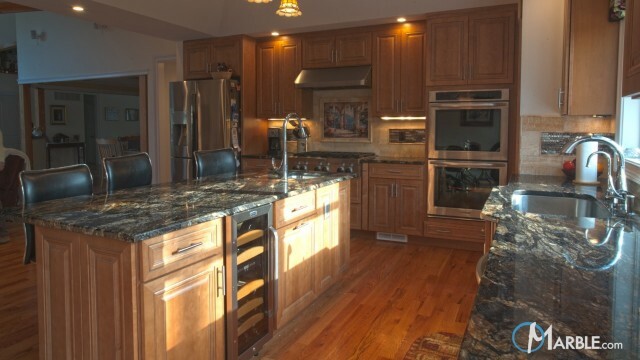 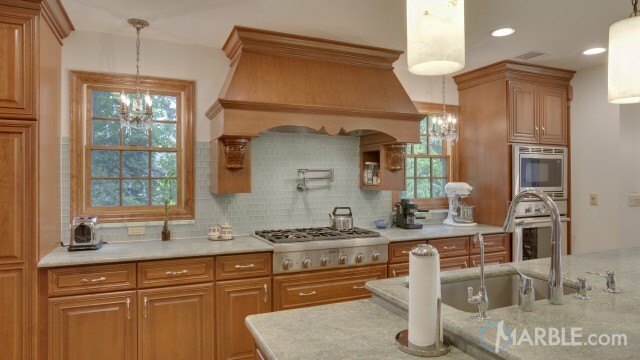 The beautifully patterned Sanguine C granite accentuates the island and counter tops in this modern country kitchen. 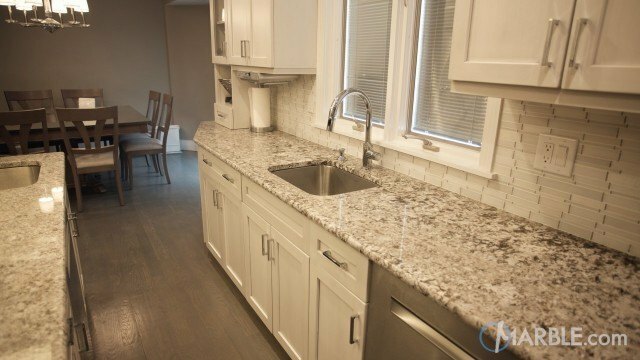 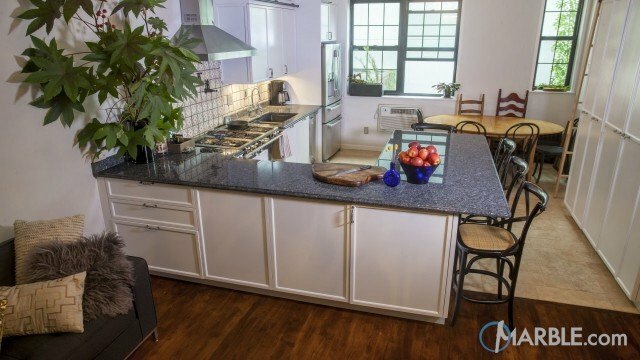 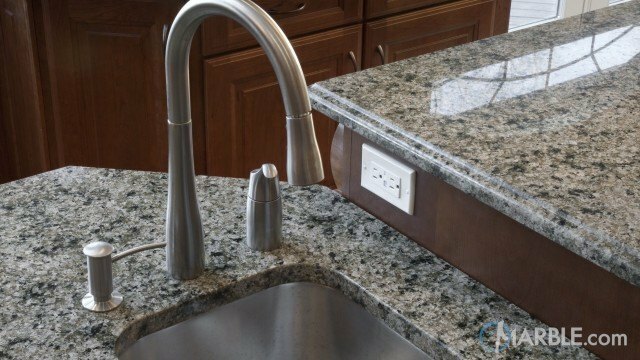 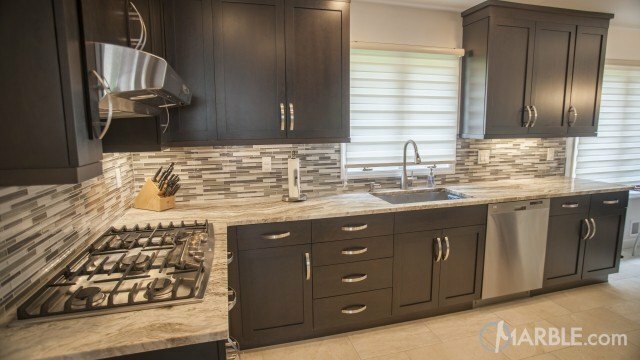 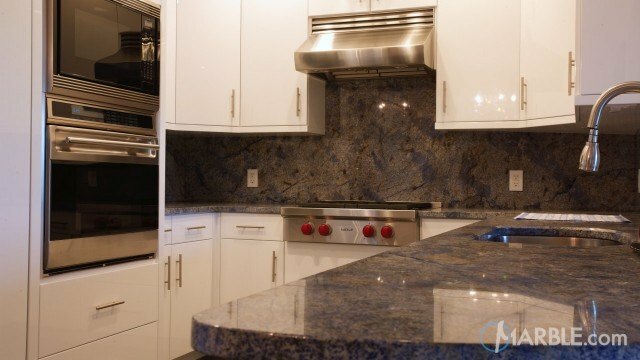 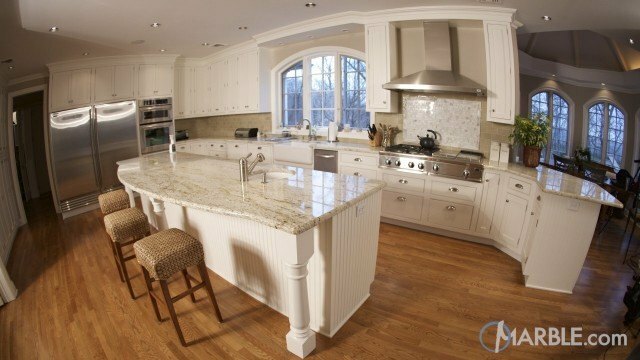 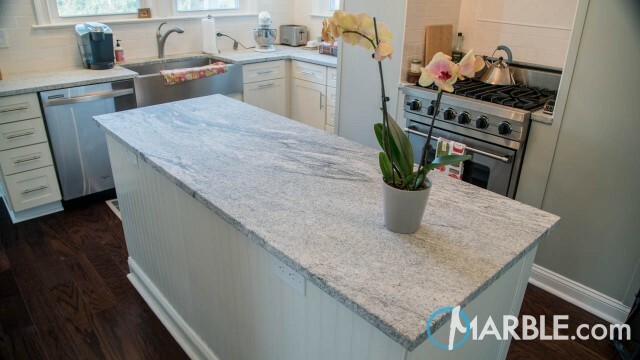 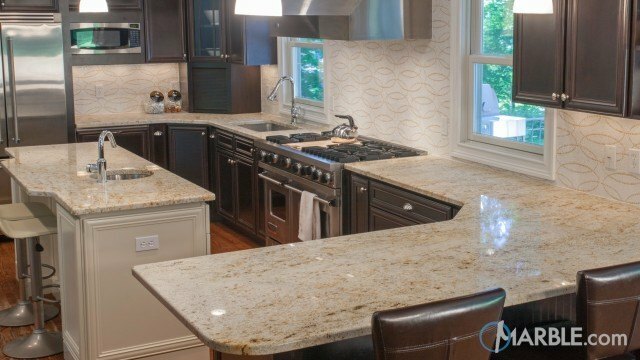 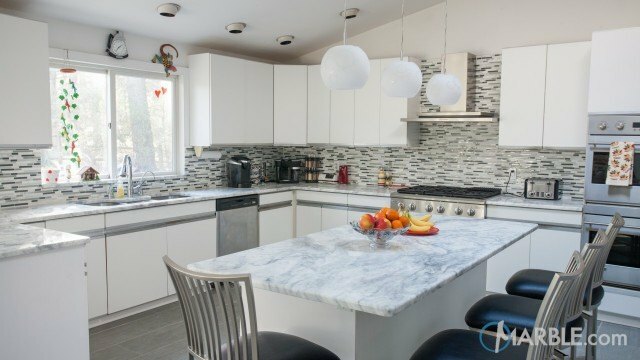 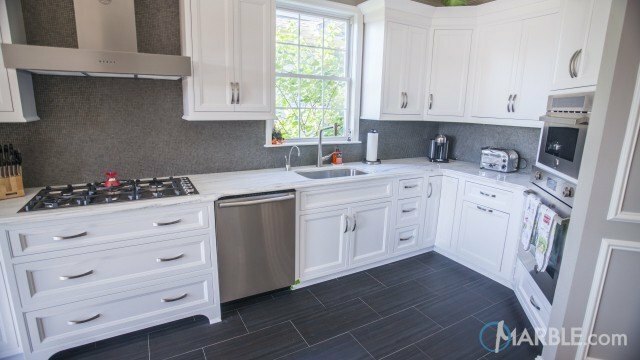 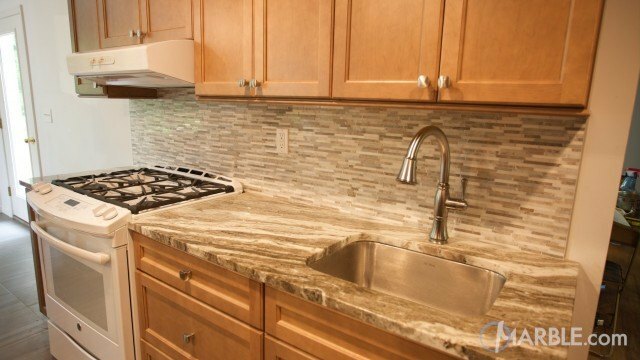 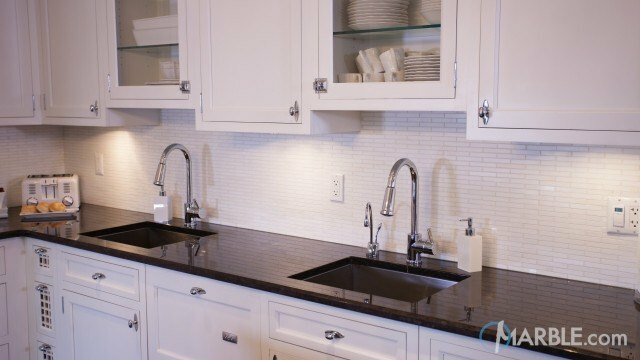 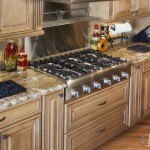 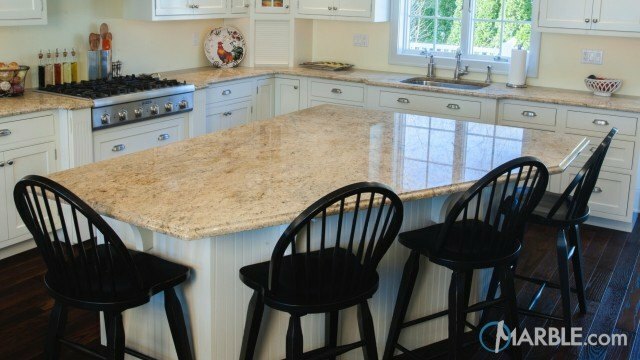 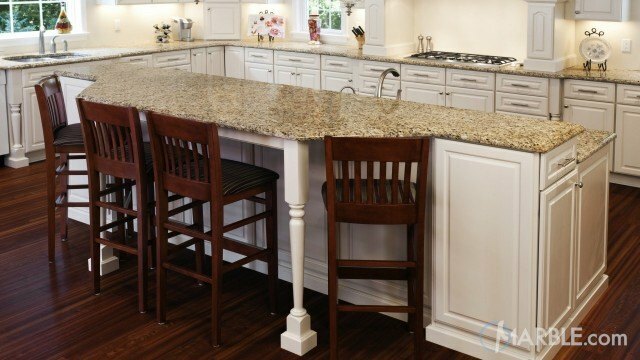 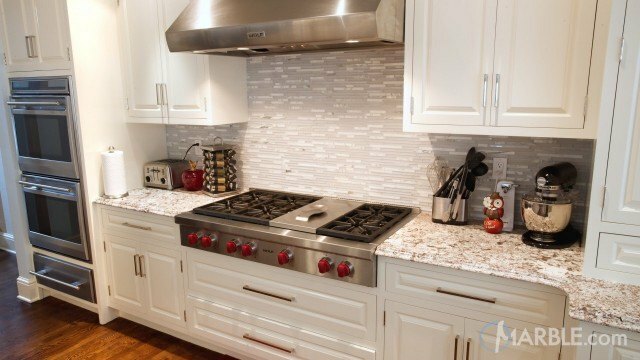 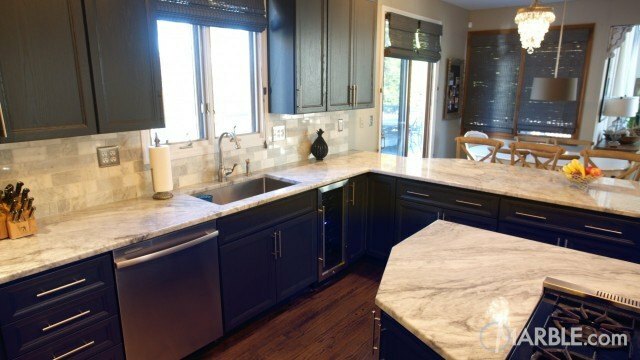 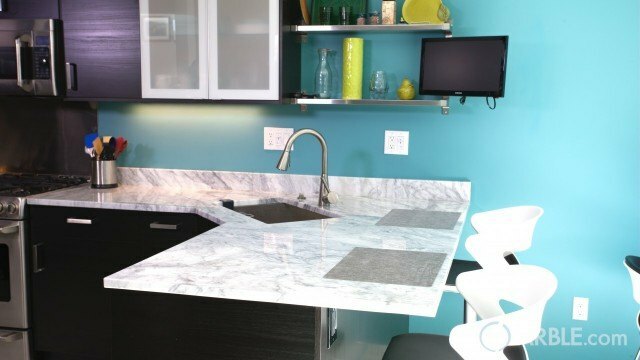 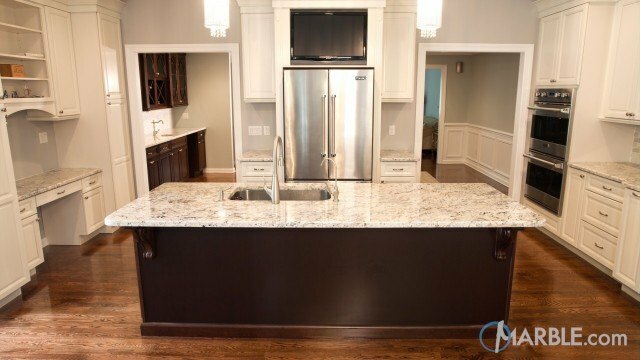 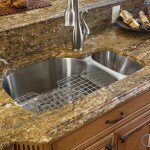 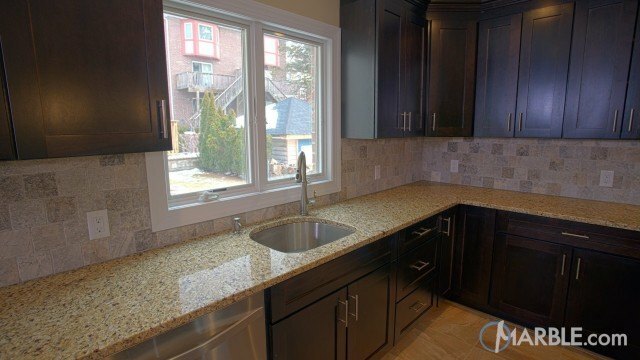 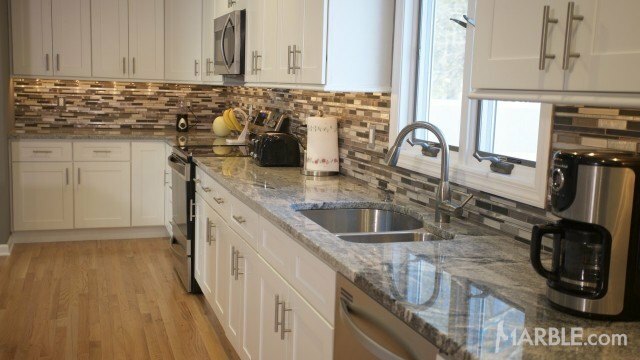 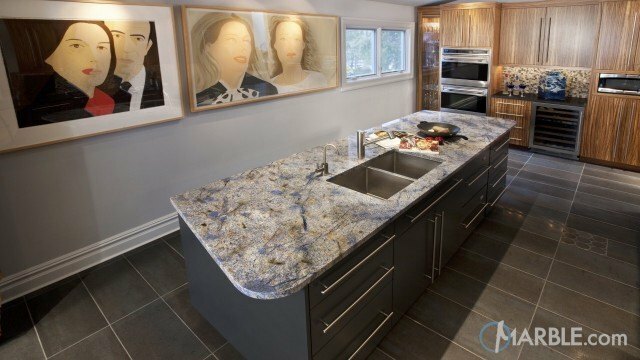 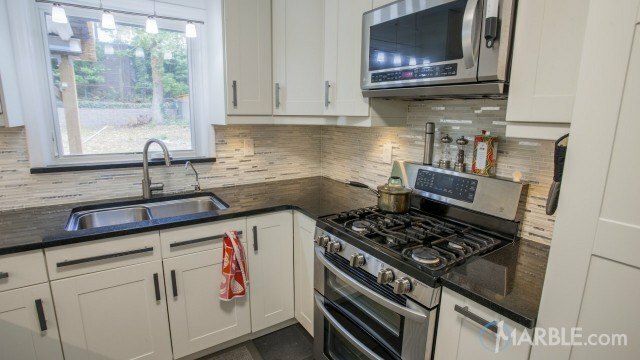 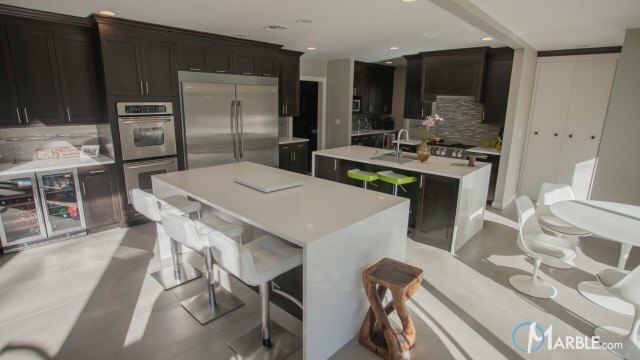 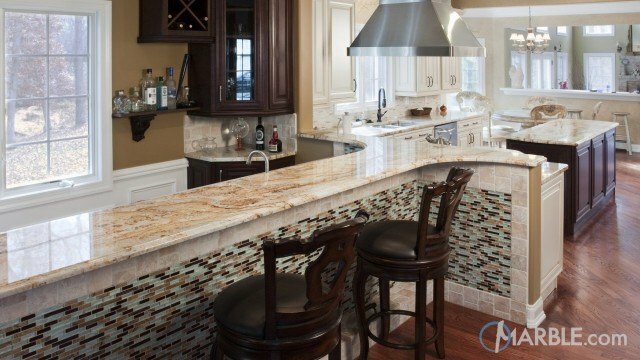 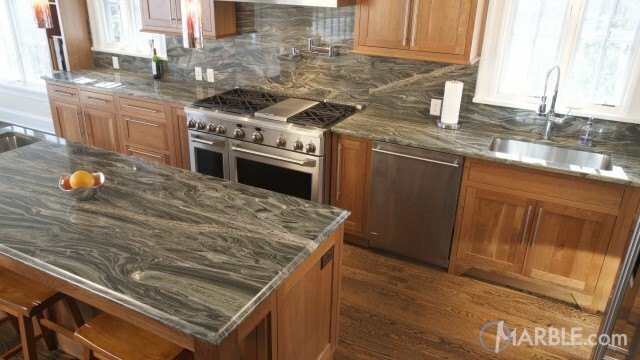 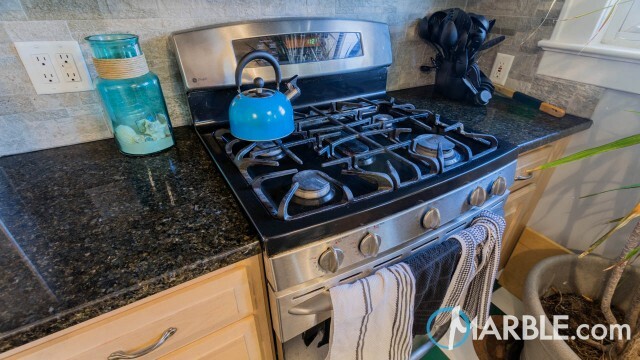 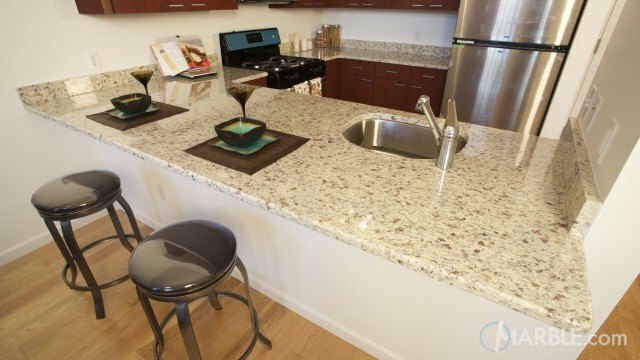 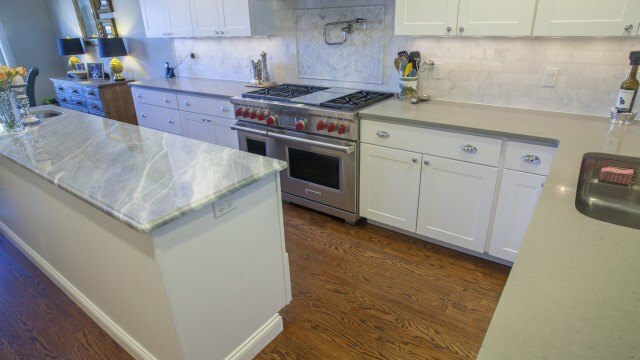 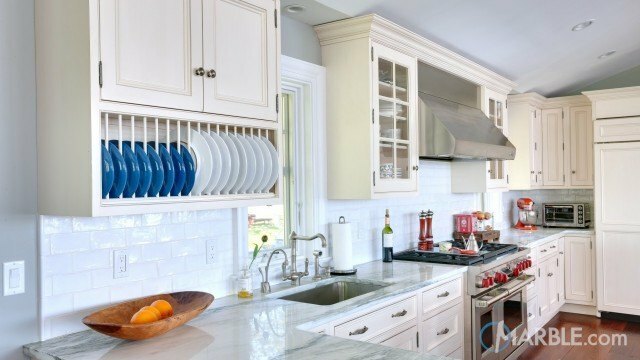 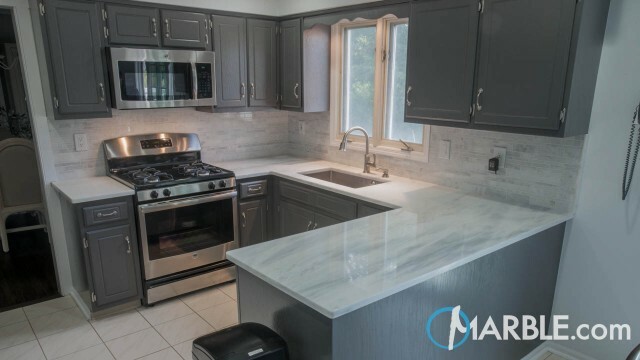 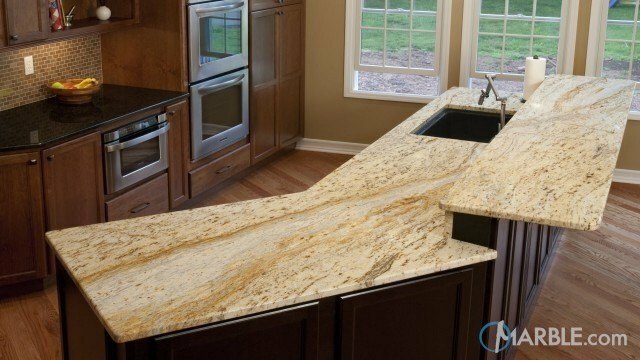 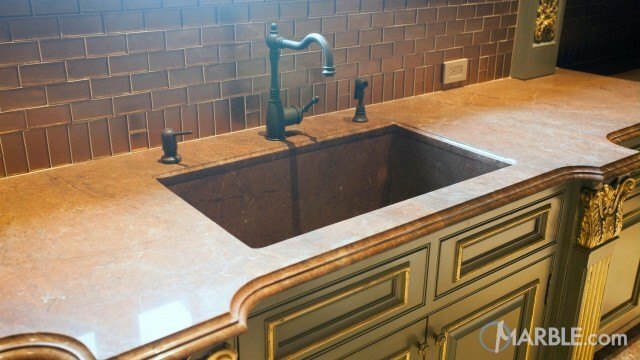 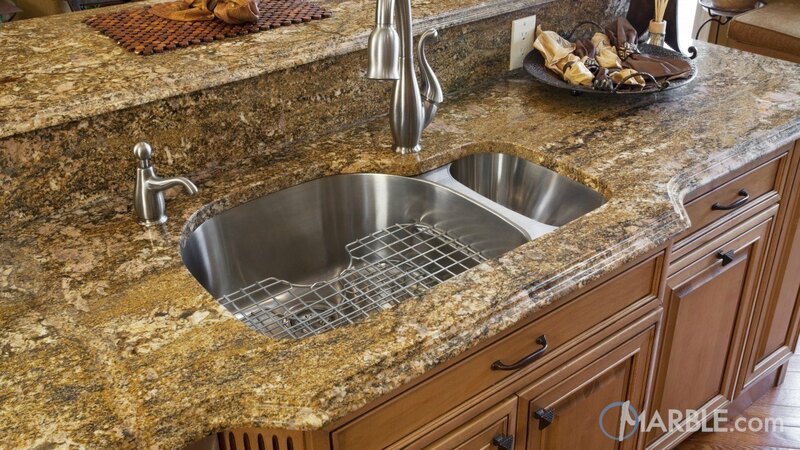 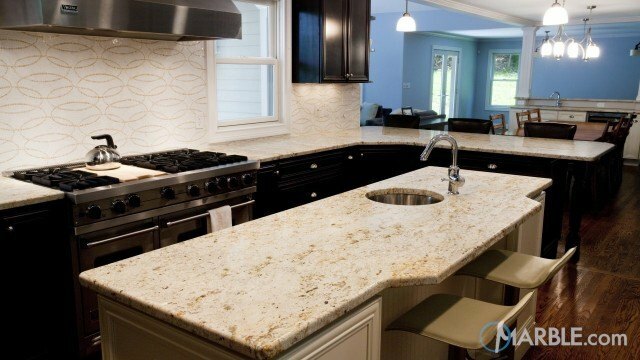 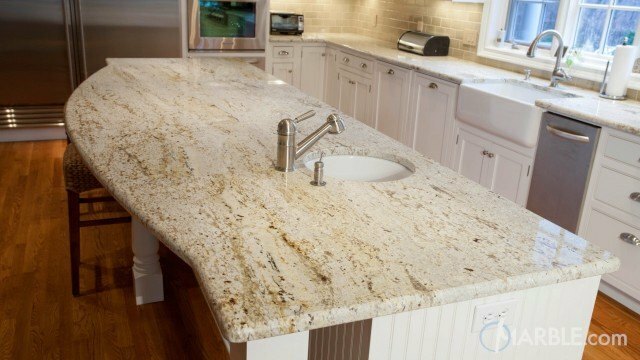 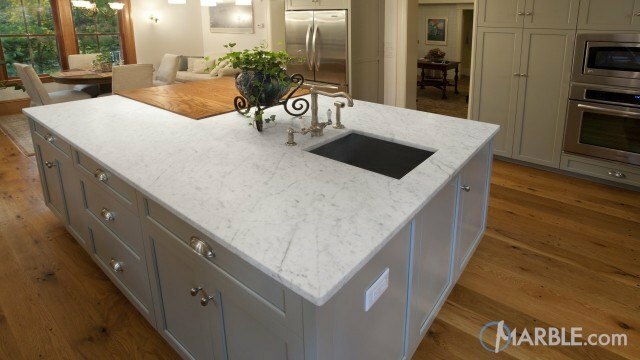 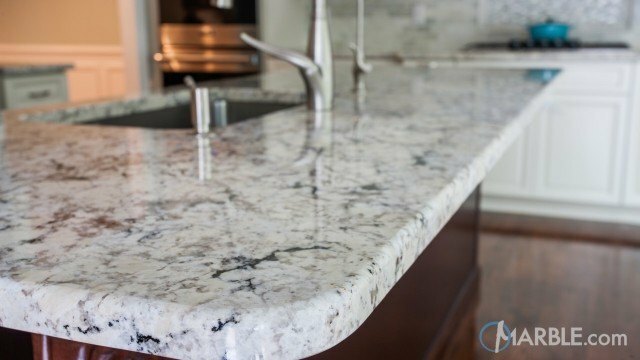 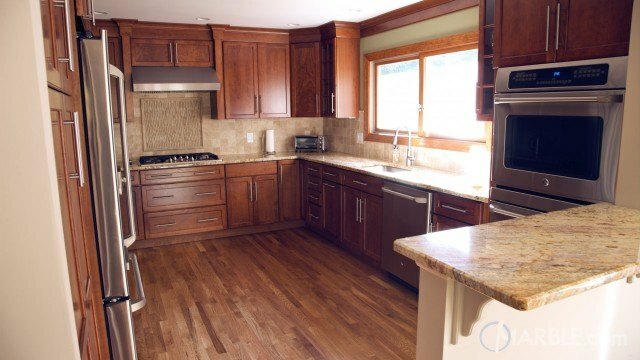 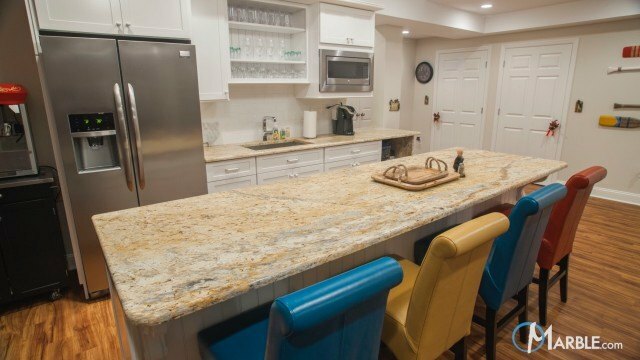 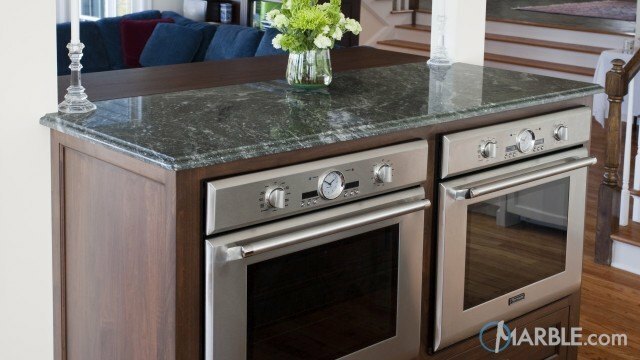 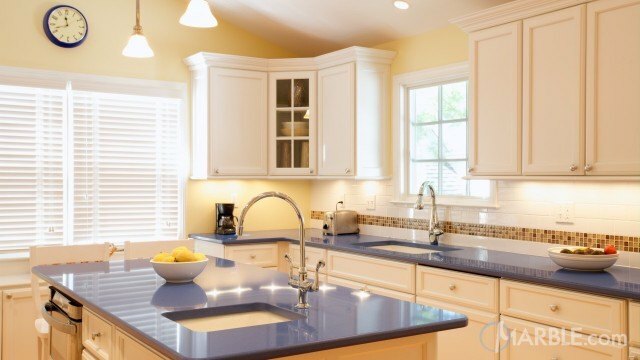 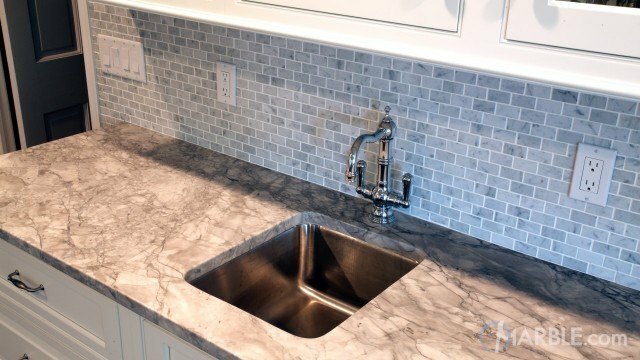 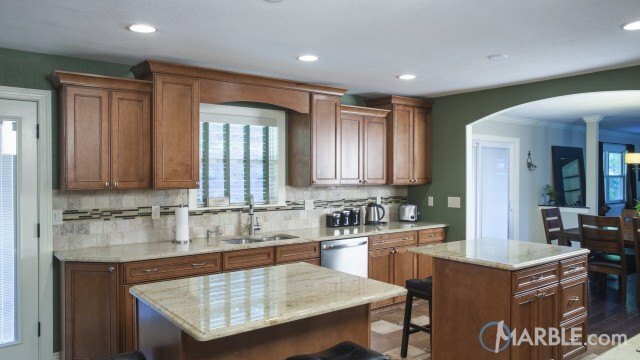 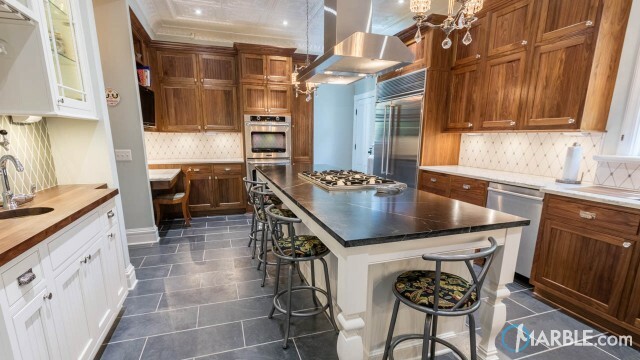 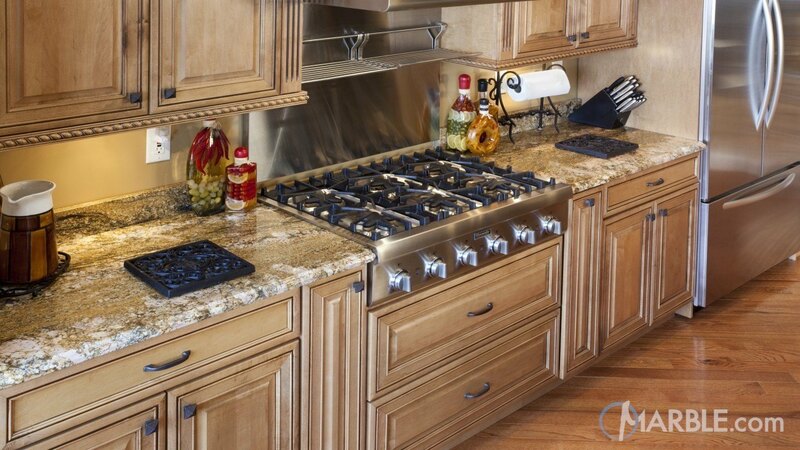 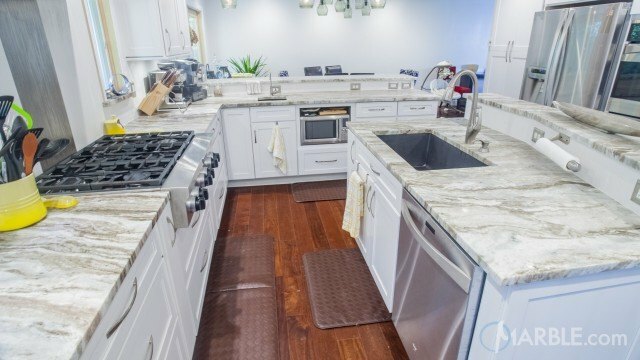 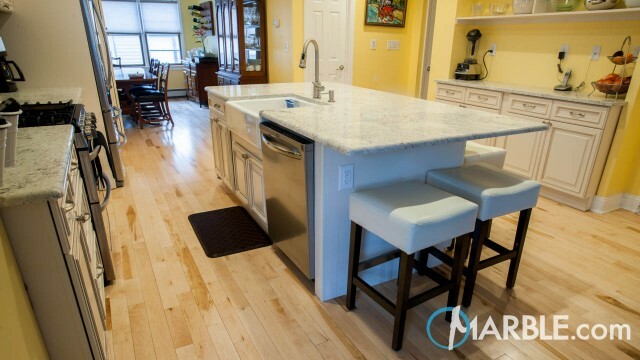 The Cove Dupont Edge on the island adds a touch of elegance, while the Ogee Edge against the wall is a classic choice. 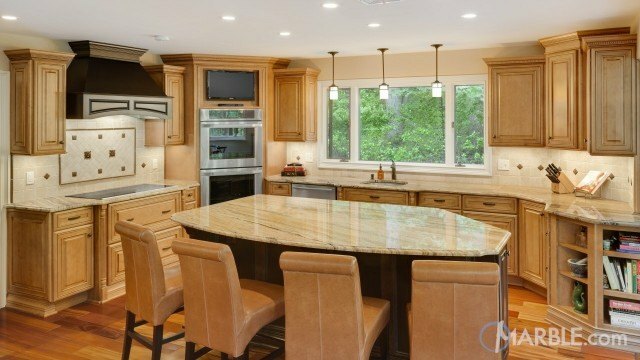 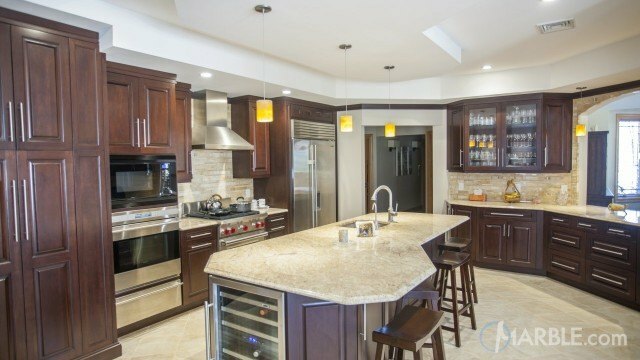 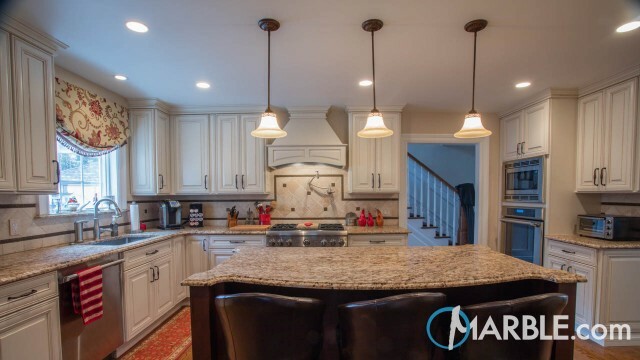 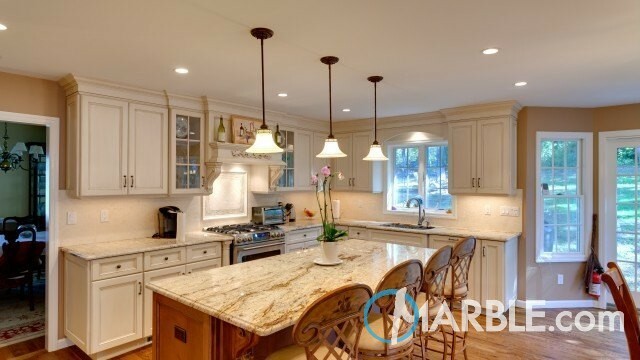 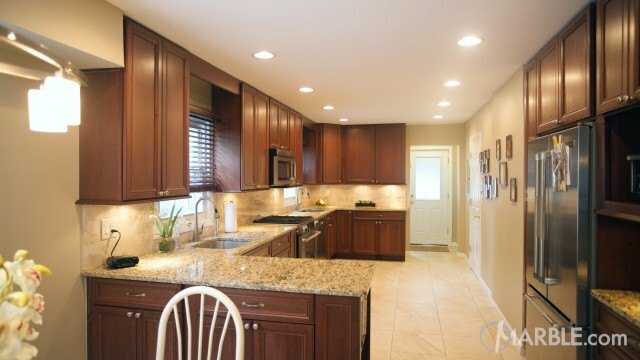 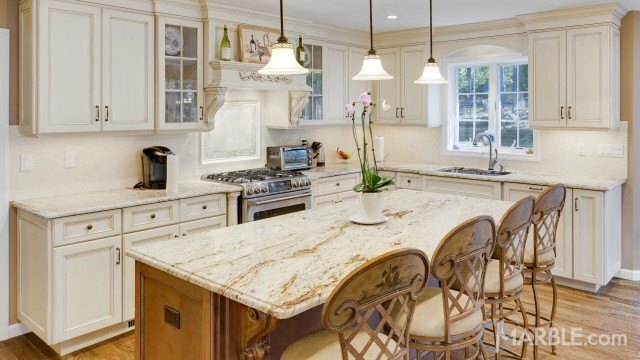 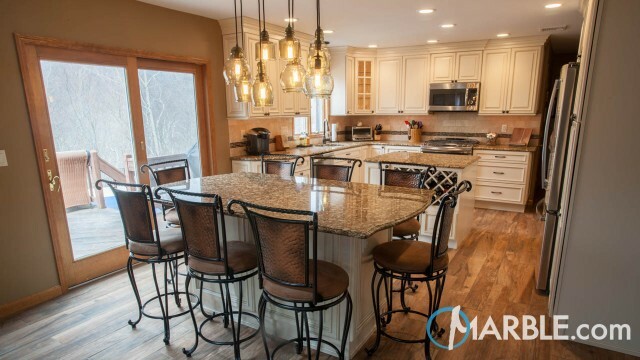 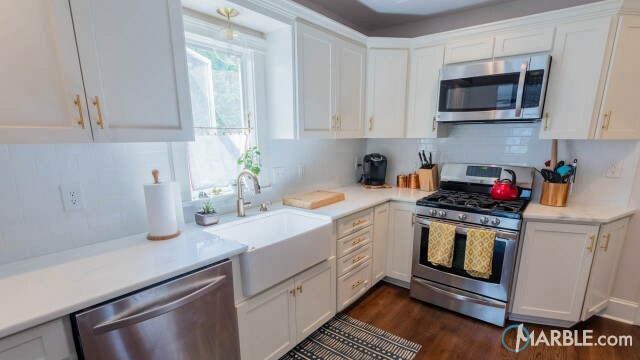 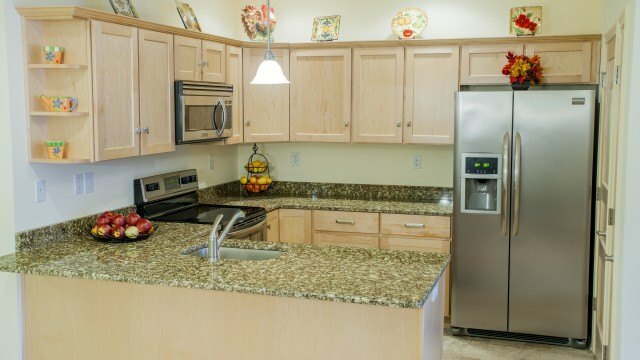 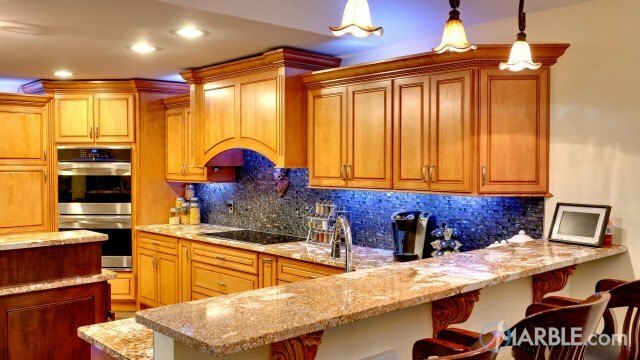 Wood cabinets and floors bring out the brown, beige and gold in the stone and soft lighting combines with natural light from the window to let the room glow in its radiance.